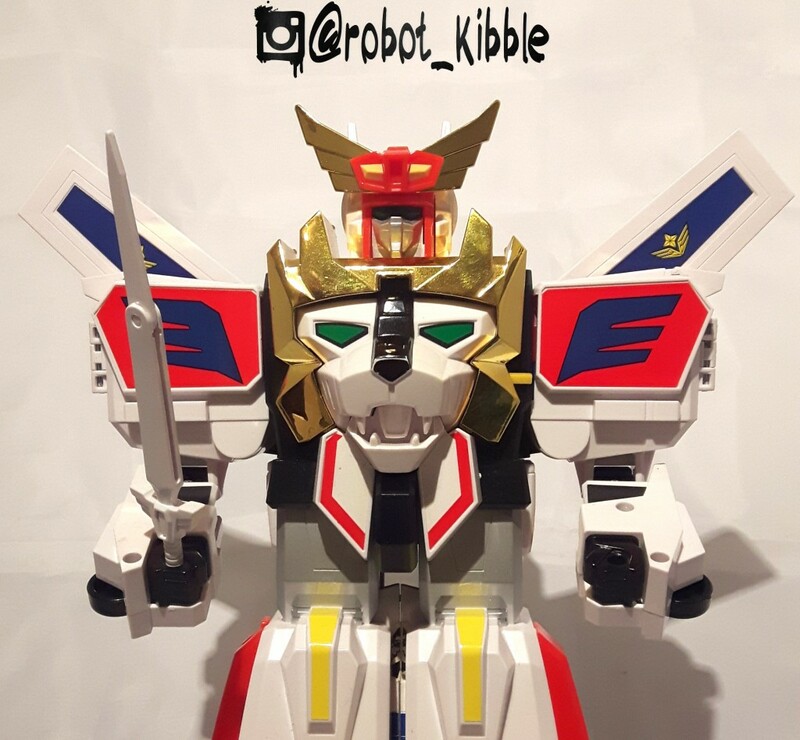 I’ve been promising this one for a while, he’s made cameos in two of my blogs to date, my Thunder Dagwon and Gunkid articles. 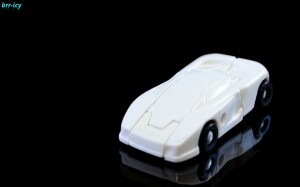 I love everything about this toy, so be warned, there will be gushing. Fire Dagwon is composed of Fire Stratos; a Lancia Stratos Emergency Services vehicle that is piloted by the human En to become Dagfire. 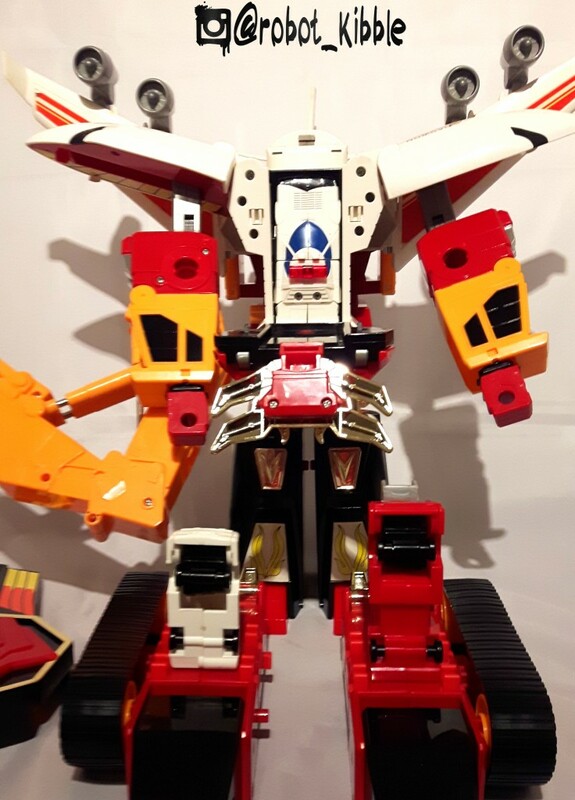 Alongside the drone vehicles (no individual robot modes) Fire Ladder and Fire Rescue, they can combine with Fire Jumbo to form the mighty Fire Dagwon. On their own, these are not great toys. 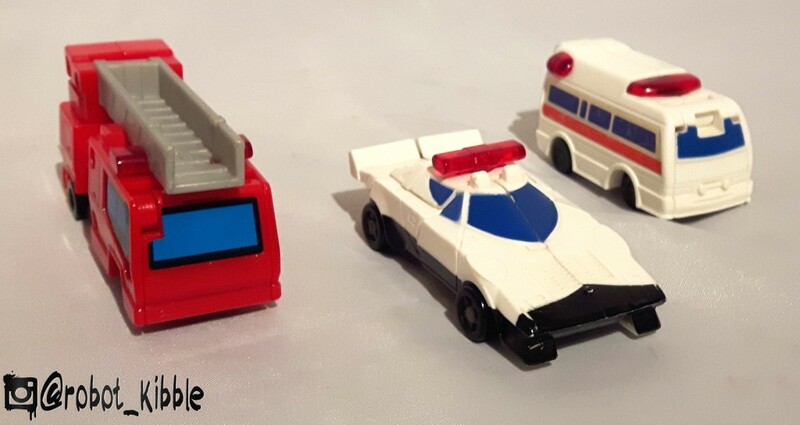 Fire Rescue and Fire Ladder are an extra bit of fun and they can store in Fire Jumbo’s immense cargo hold waiting to be used as forearms, and Dagfire can be stored inside Fire Dagwon’s chest in combined mode or in jet mode, and the chest can be lowered like a ramp, so there is a very MicroMasters play pattern at work here, and Dagfire isn’t awful on his own, if only a very basic transforming robot. Dagfire. 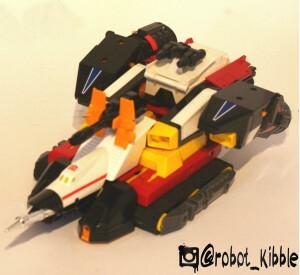 A distant cousin of Wheeljack maybe? 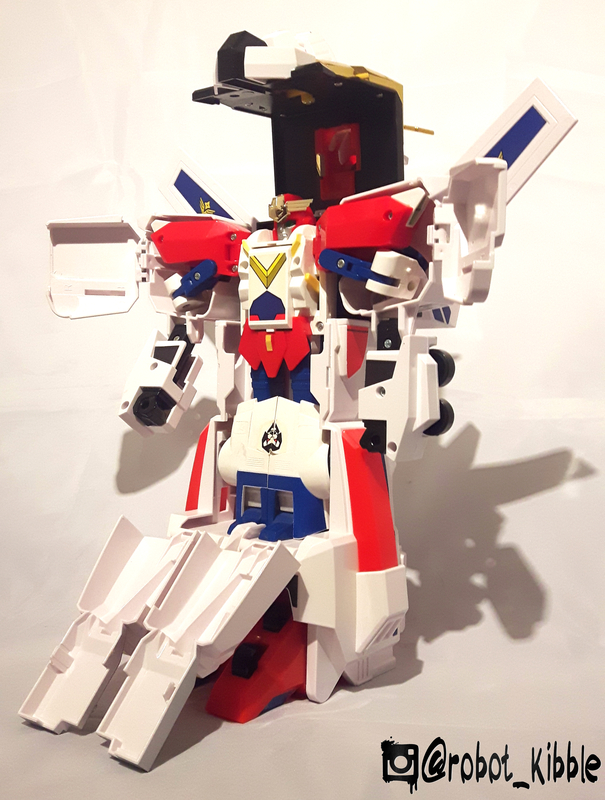 He only just fits inside my lightbox, and his alt. mode is a similar length to Masterpiece Ultra Magnus. Some people find the cargo hold detracts from his alt. mode, but I just find it immense in a fun way, and everything is very functional for the play pattern. 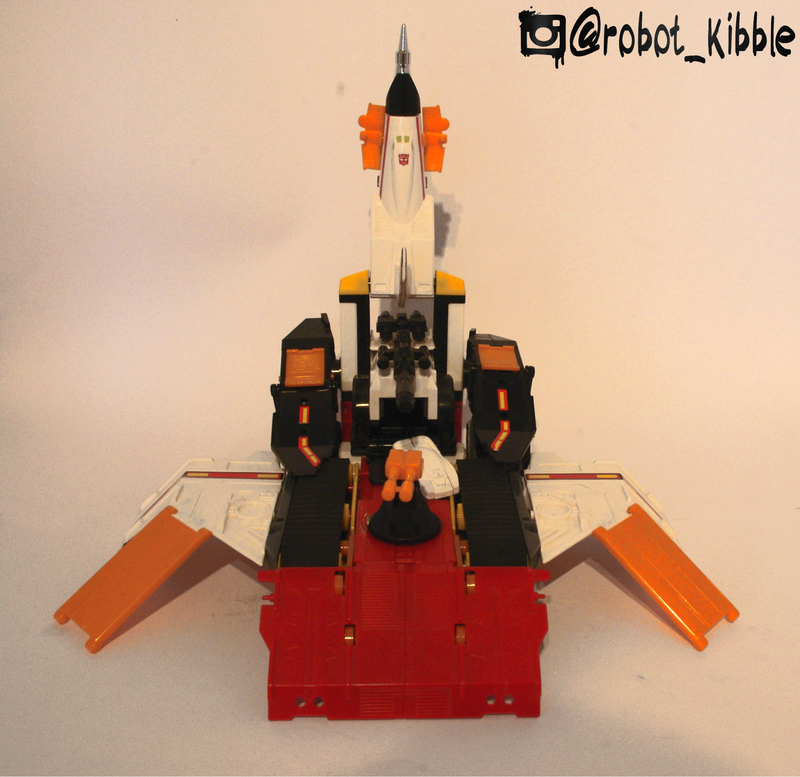 The split down the cockpit / nosecone I find more detracting, but it’s transforming toy and form follows function. 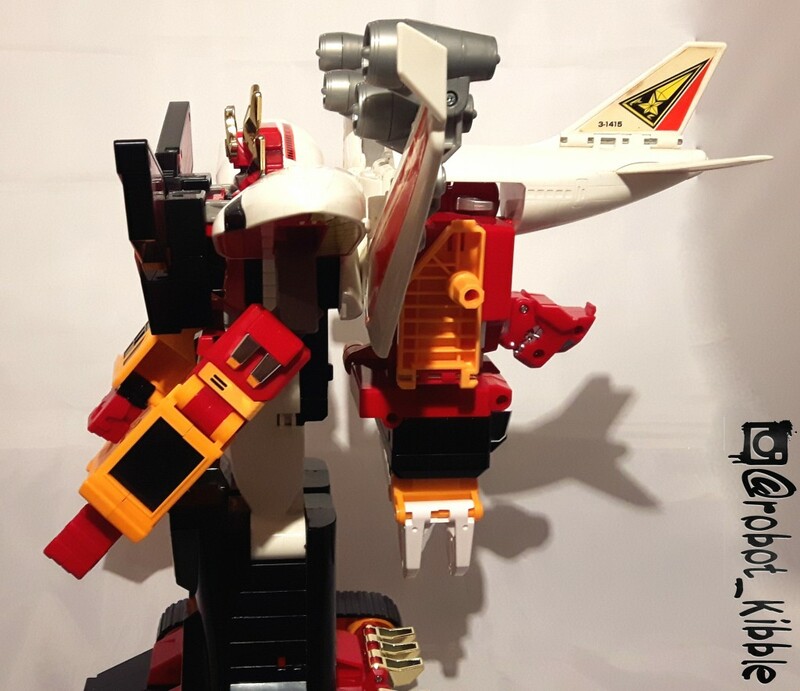 Similar to the geeky 1701 tail-number on Thunder Dagwon, Fire Dagwon provides his own nerdy tribute. 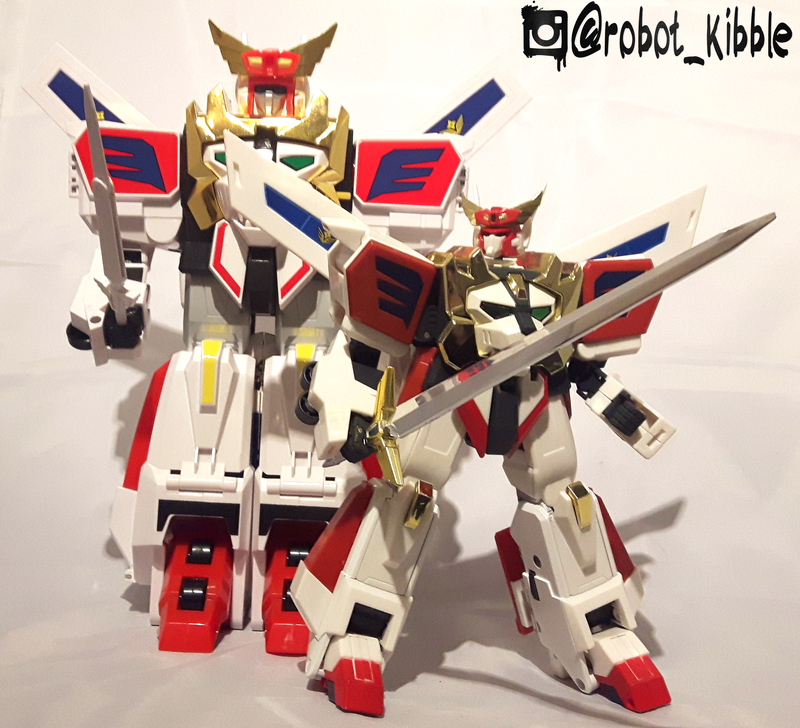 His transformation is incredibly fun. 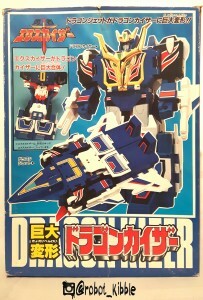 Brave toys never really feel like a hassle, although they can sometimes feels a bit partformery. 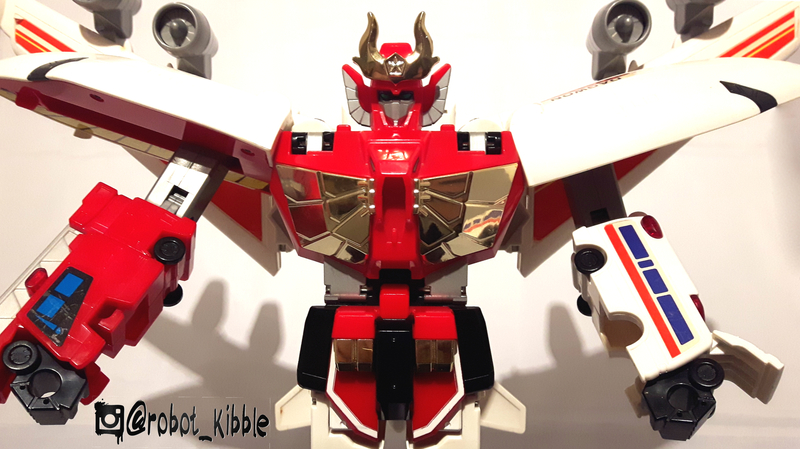 Not so here, as the main component of the set, Fire Dagwon is a solid transforming-fan’s transformer, with only the forearms adding to the partforming party, but in an incredible Brave and Duke Fire sort of way. 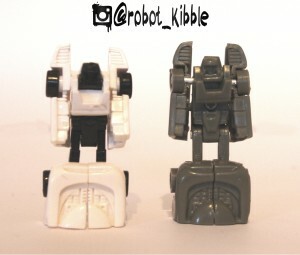 In robot mode is where Fire Dagwon really starts to shine, he’s a big toy, at G1 Scorponok height. 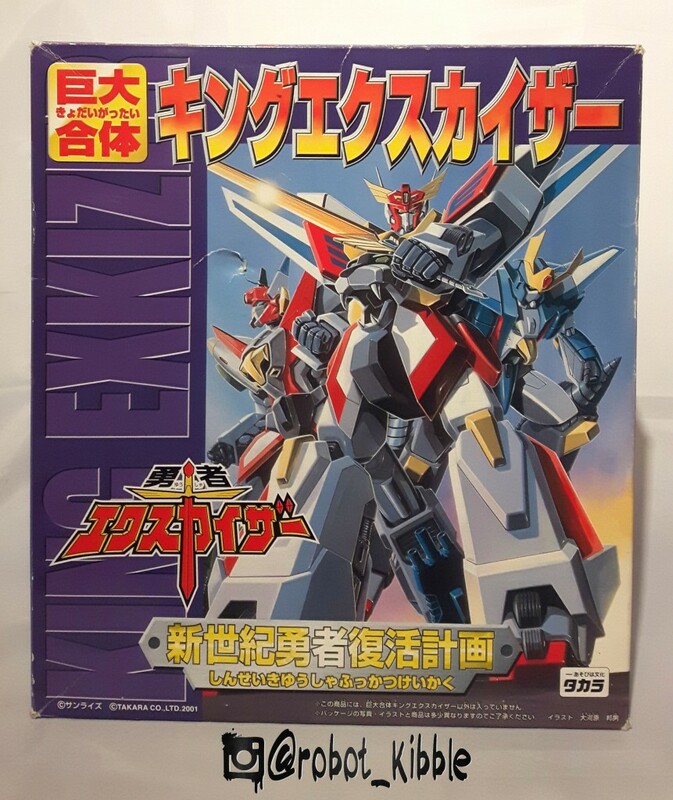 There is an even bigger KO version available with chromed engines, which is closer to Pandinus levels of height, however, I’ve never seen a KO version of Power Dagwon, so you’re only really getting half of the toy. 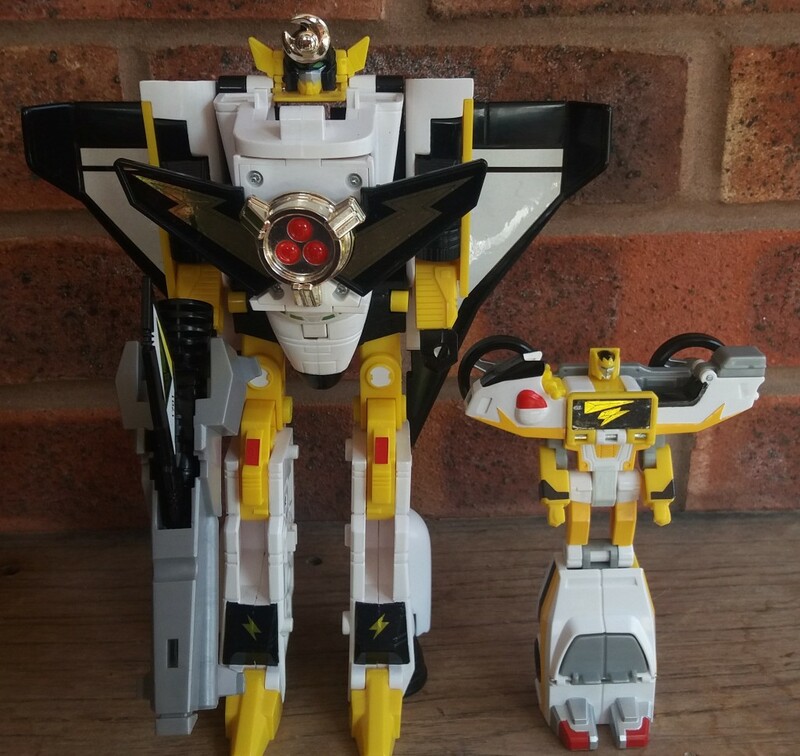 The prices of Brave toys have really been creeping up over the last 5 years since I started collecting, MISB examples used to be common for most of these guys, nowadays I recommend grabbing them even if they’re loose, as it might be hard to track down a MISB example. I really would like a brand-new MISB Fire Dagwon as I feel he looks slightly tarnished next to my crisp MISB Power Dagwon, but that’s the reality of white toys and honestly, this guy looks like he was owned and played with at some point, and that’s pretty cool. 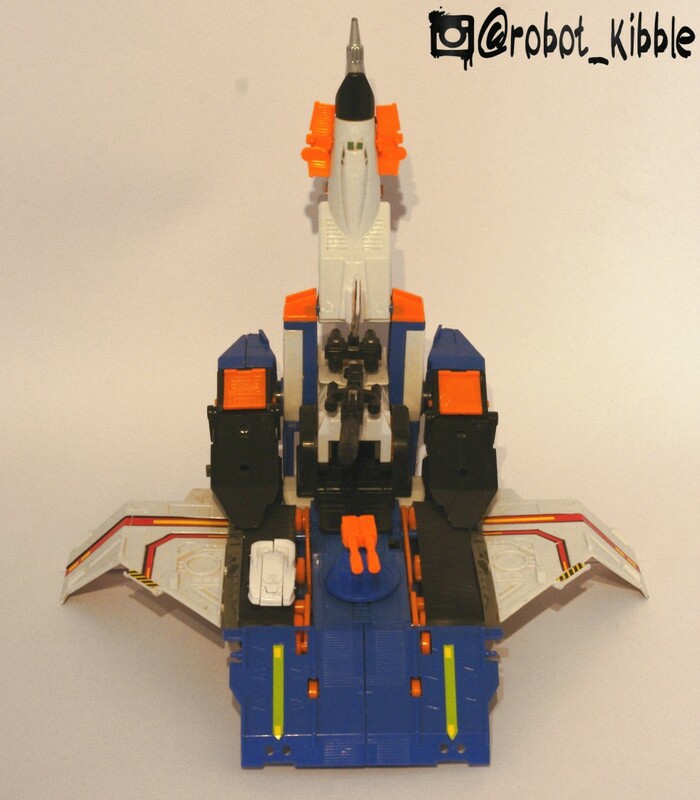 Shame they lost the beak on the robot mode chest though, as this lets down his individual robot mode. 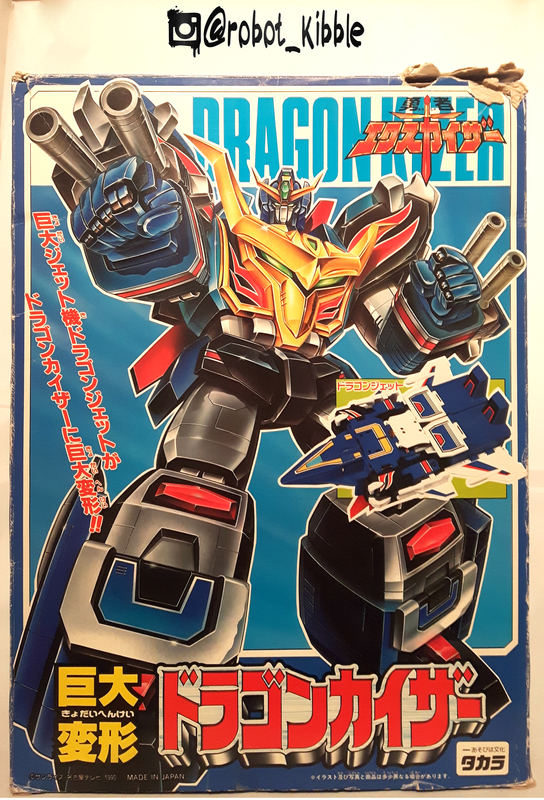 Power Dagwon is another super fun toy, and just the sheer size of this square block of plastic fun must have amazed many a child in it’s day. 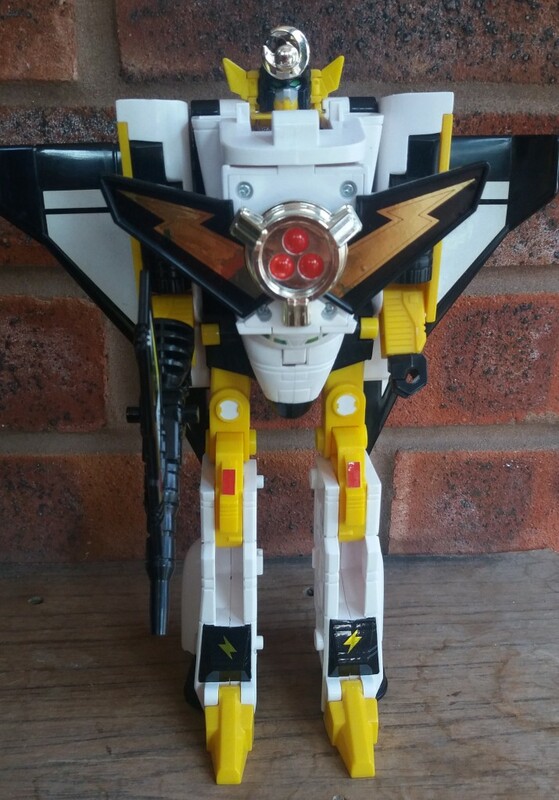 Size and weight wise, this feels closer to an original X-box than a transformer. 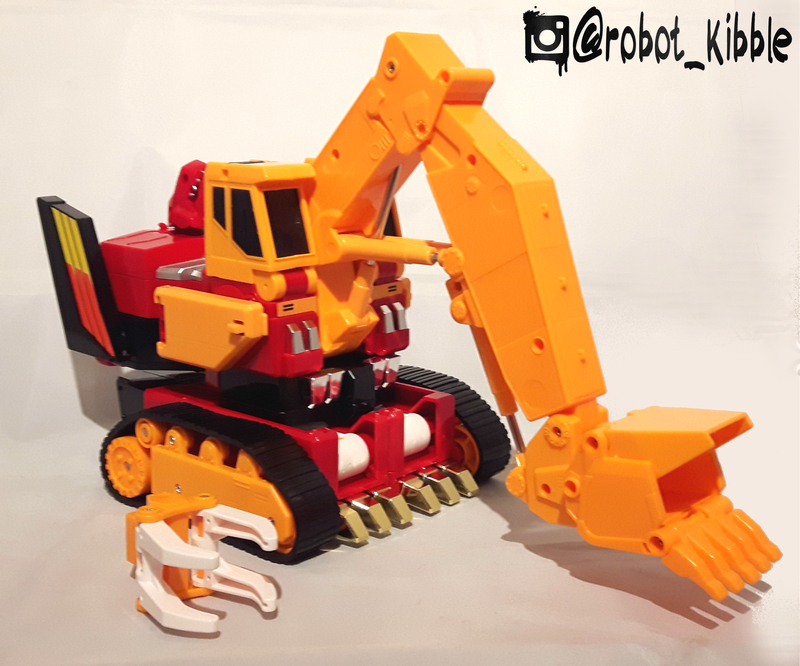 It’s chunkytastic, and if their is one thing kids love it’s massive construction vehicles. 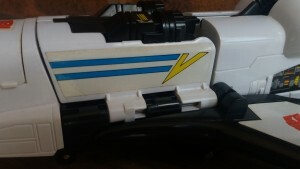 I wish I’d had something like this as a kid. 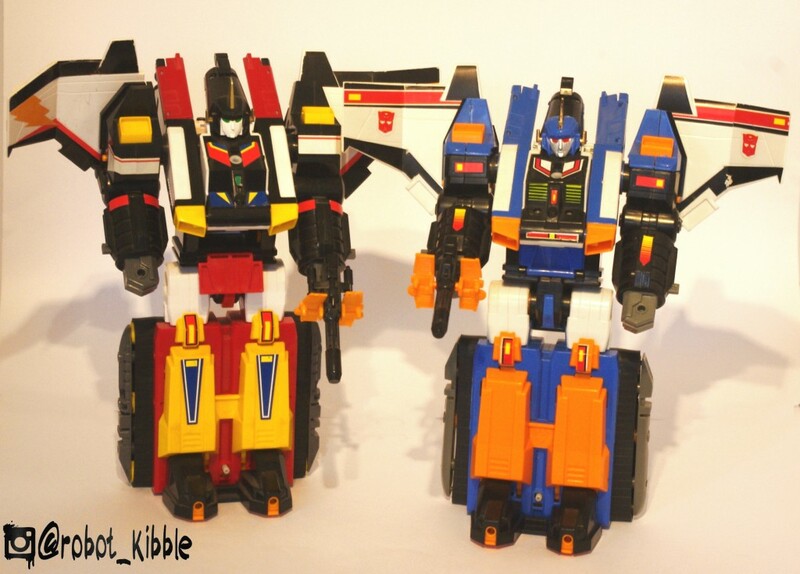 It’s easily taller than G1 Devastator in this mode, with a LOT more mass. Play features? 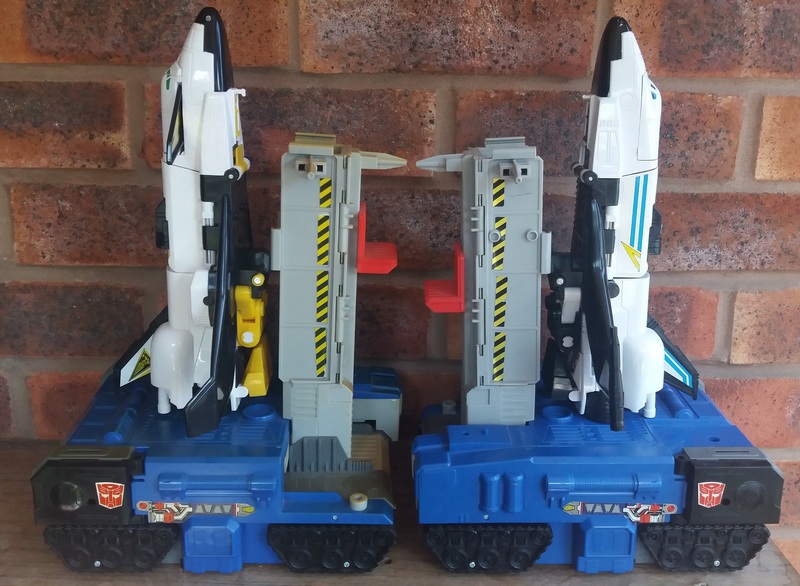 Actual rubber treads. 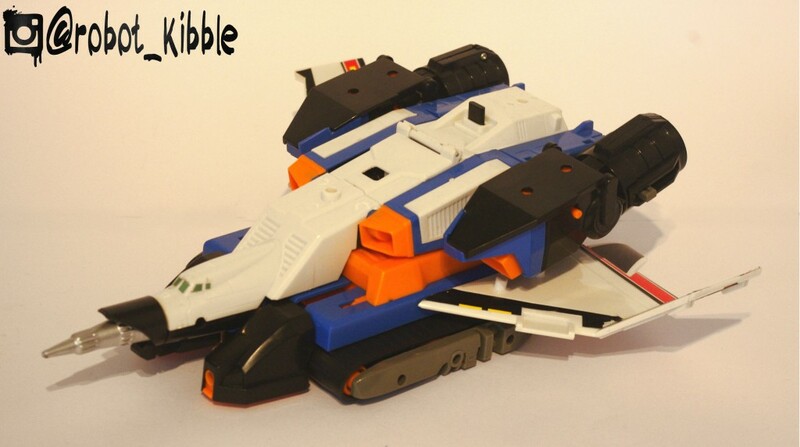 He can rotate on his base like a digger. His digger arm extends out about a foot. 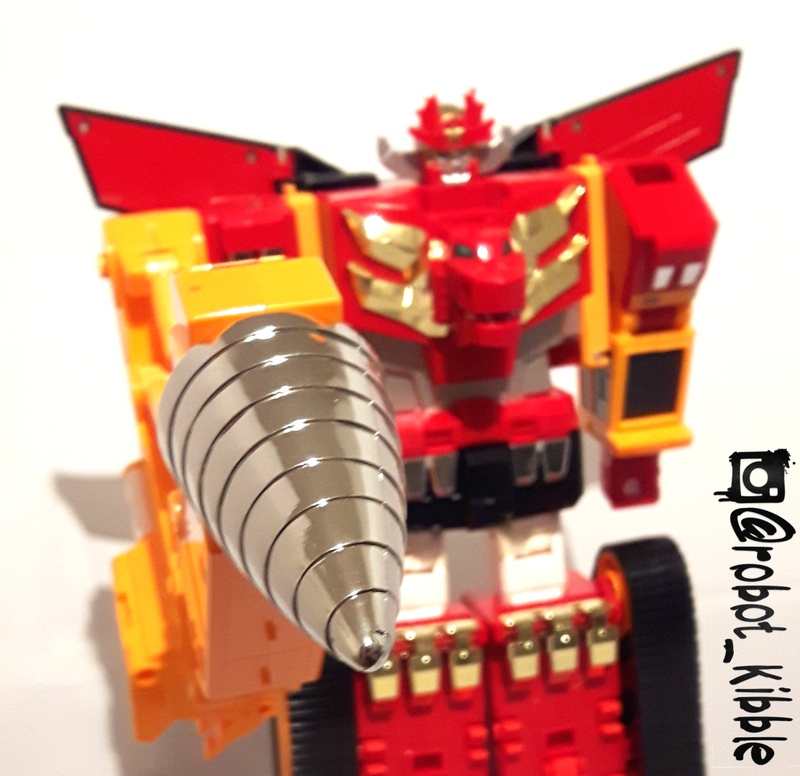 He has three different accessories including a chromed drill point, a claw hand, and a grabbing digger scoop thing. 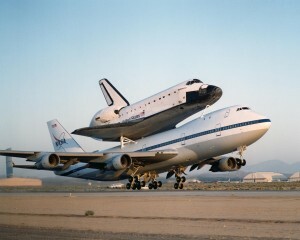 I don’t know the technical term, and I don’t think the Brave designers really cared too much either. 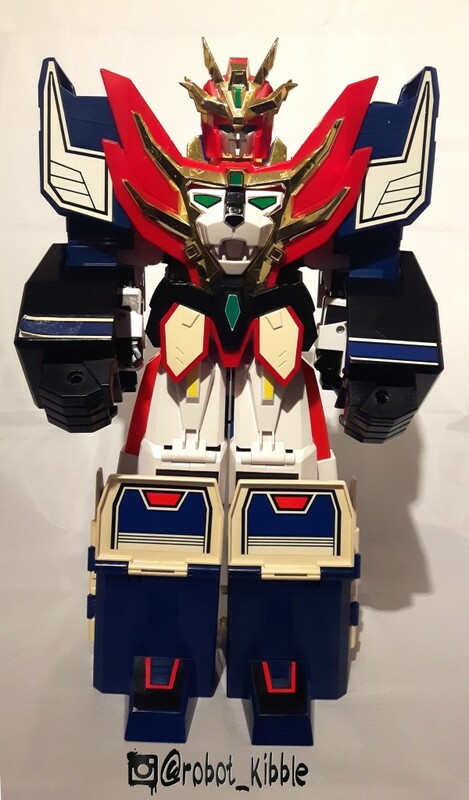 Despite my love for this guy, he does have the robot chest lying down on his back, and whether you fold it up or down it’s pretty visible. Is a giant blinged out dragon / cat head a distraction on your construction equipment? Not in the world of Brave! Besides, it makes a wonderful chest piece. 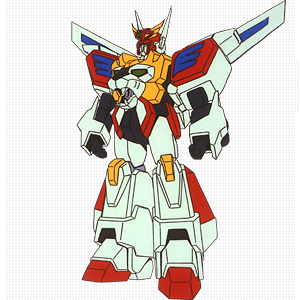 The transformation isn’t great, because this guy is ALL the partsforming. 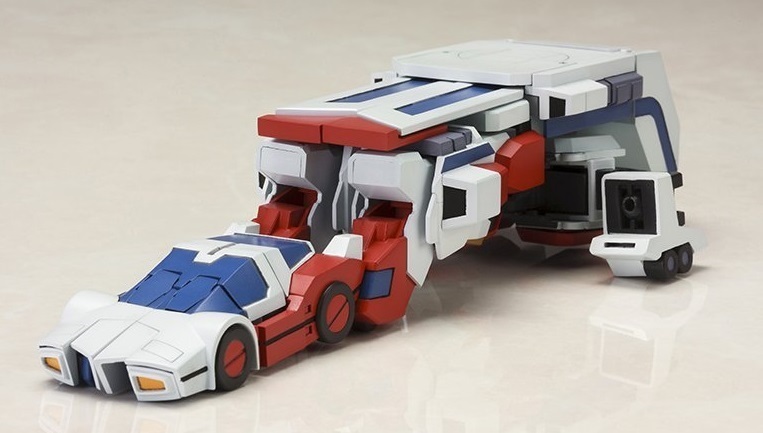 You basically pull this guy apart and re-stick him together to make this mode, but that is all part of the functionality of the final form for these guys. This is Brave remember? It’s all about hats on top of hats. All that red and chrome make it feel like Christmas every day. 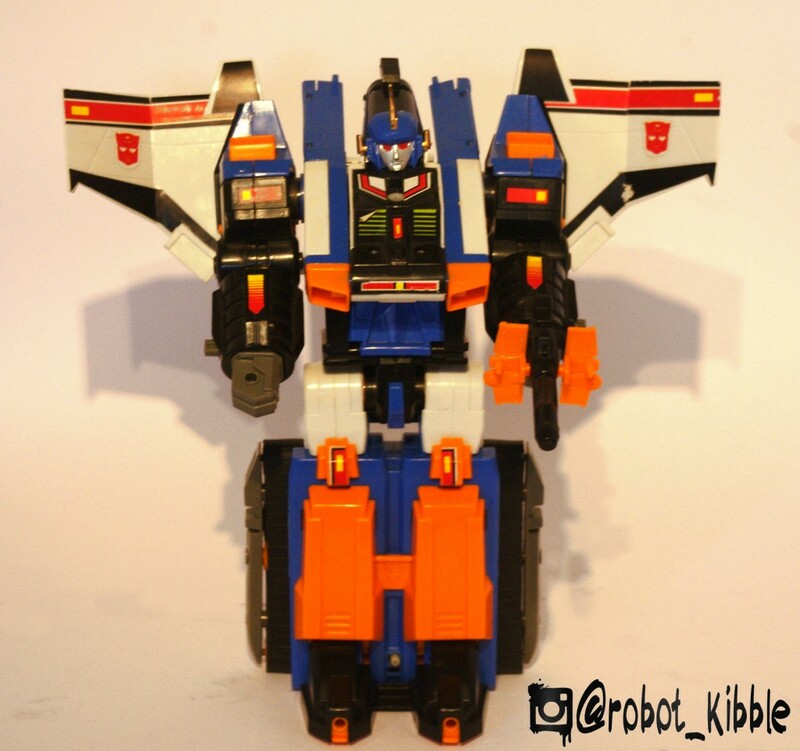 He certainly has an odd aesthetic, and the robot mode is probably not what you expect from the alt. mode. 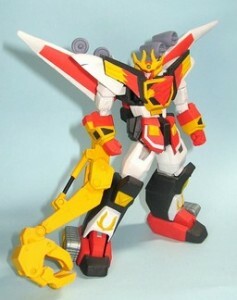 All that yellow seems to give way to an awful lot of red, and even more chromed parts seem to show up. 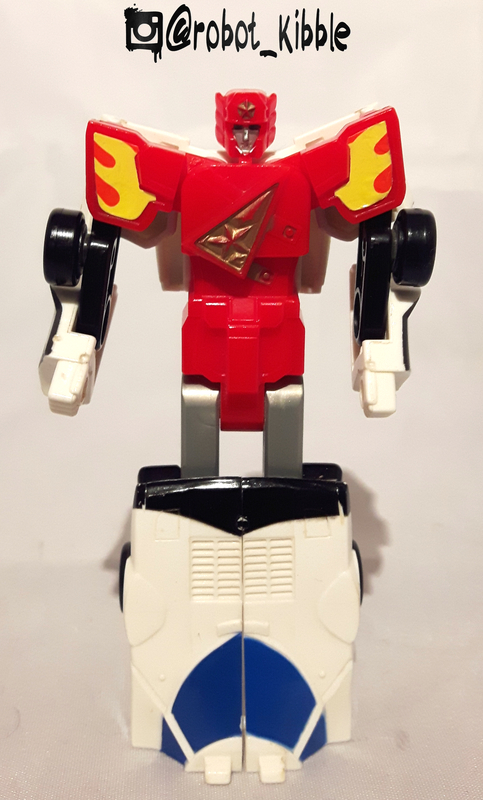 Loosely sticking to that emergency services theme that Fire Dagwon has, his head looks a little like a Fireman’s helmet, albeit a very decorated one! The biggest drawback to this mode? 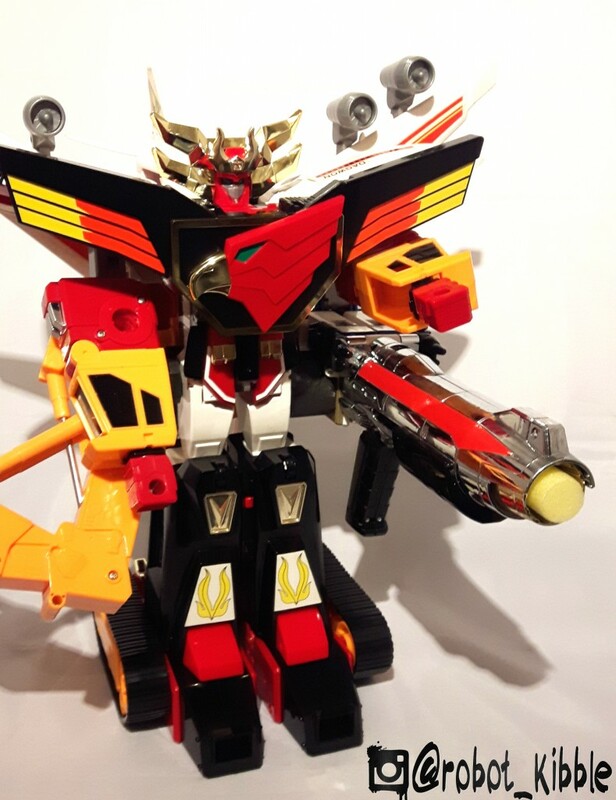 Well, it’s easy to say the giant claw-arm attached to the right arm detracts from the figure, and in many ways it does, however it’s incredible well balanced and weighted, so even fully extended it doesn’t topple this figure. 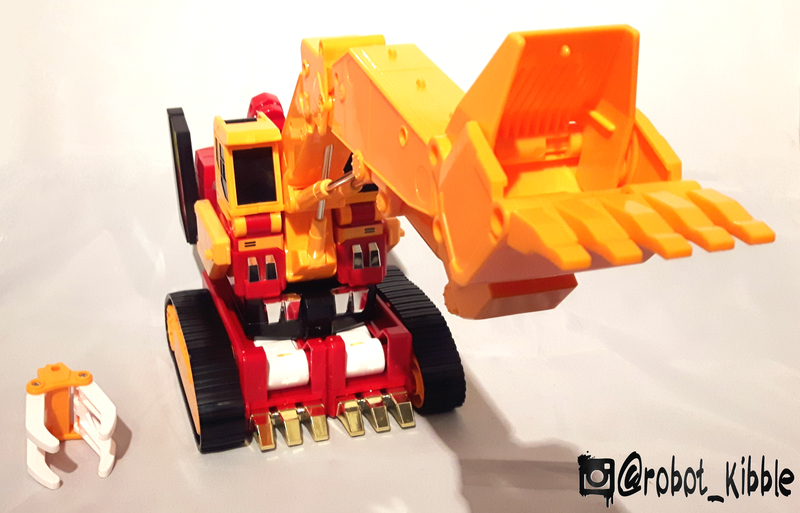 I’d say the drawback to this mode is more that the giant claw-arm cannot detach from the robot mode at all (well, without removing the entire right arm in the process). This is Brave remember? 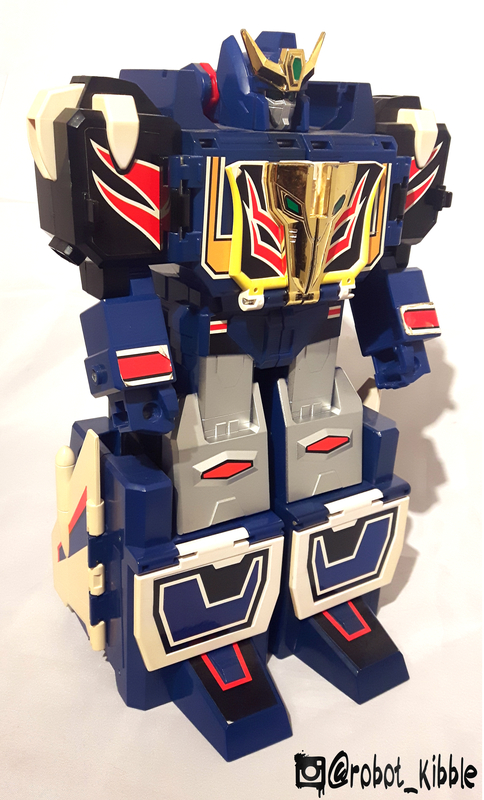 What better way to enhance this figure, than by adding a WHOLE OTHER FIGURE TO IT. 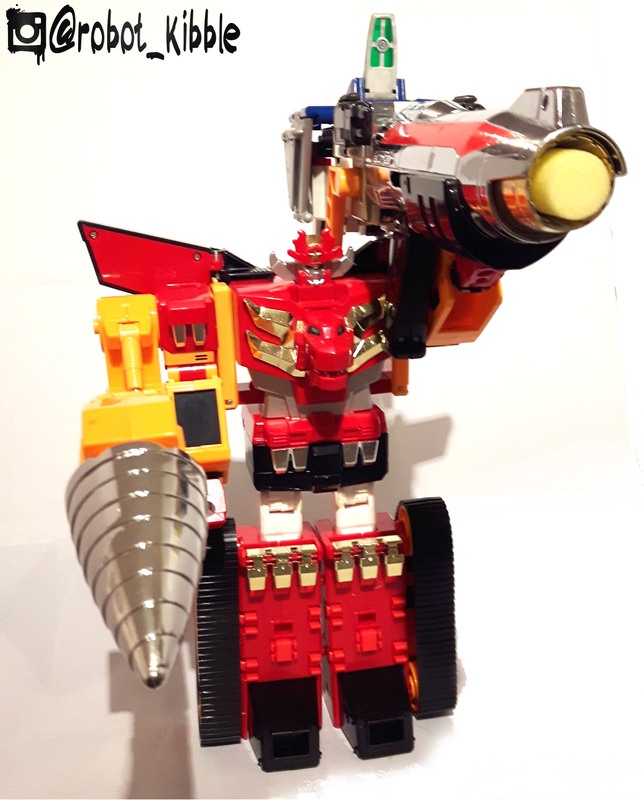 Yup, last weeks feature Brave toy GunKid attaches to this guy in his giant gun mode. 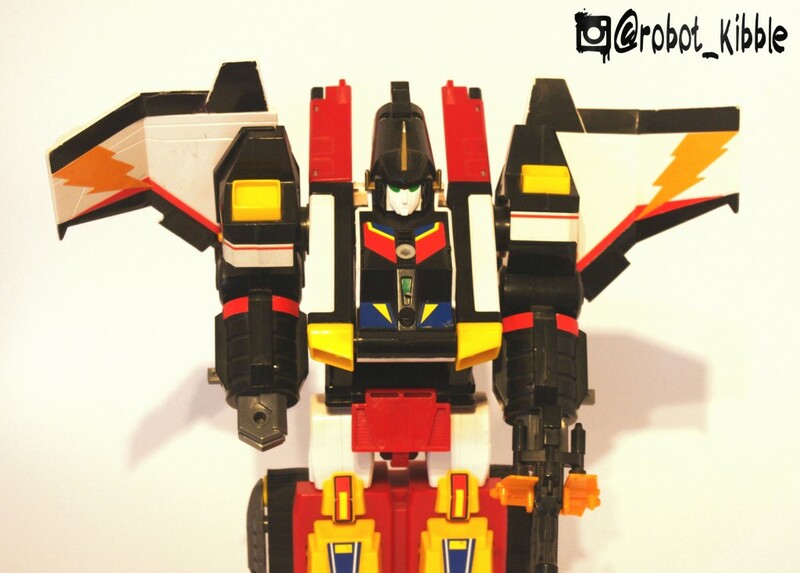 There is a stabilising arm built into Power Dagwon just for this feature, and once again the balance is flawless. Even is the aesthetic looks more insane than threatening. In order to make this guy you have to pull Power Dagwon to bits as mentioned above, but it’s worth it, and he manages to have his own totally unique features and aesthetic, mostly due to it’s insane chest piece. I mean; look at it!!! Flag, Rock, Eagle, right Charlie? 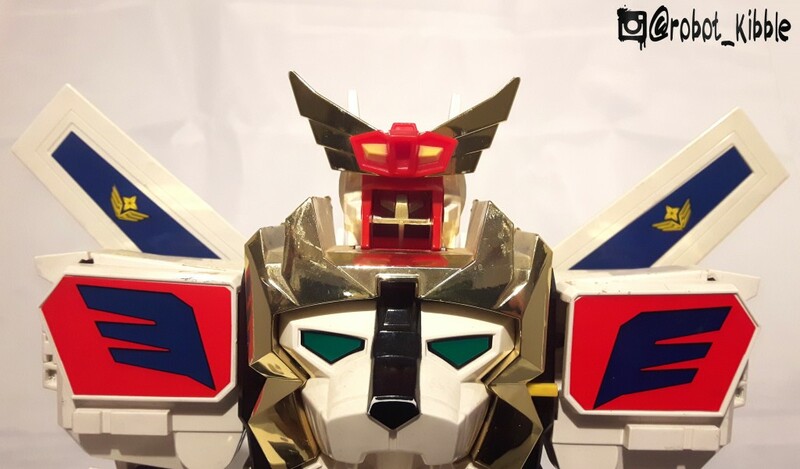 It’s worth noting that blinged out chest piece from Power Dagwon becomes a head crest for Super Fire Dagwon. It’s just enough to change the look of Fire Dagwon’s head, whilst adding that extra level of over-the-topness. I love it. 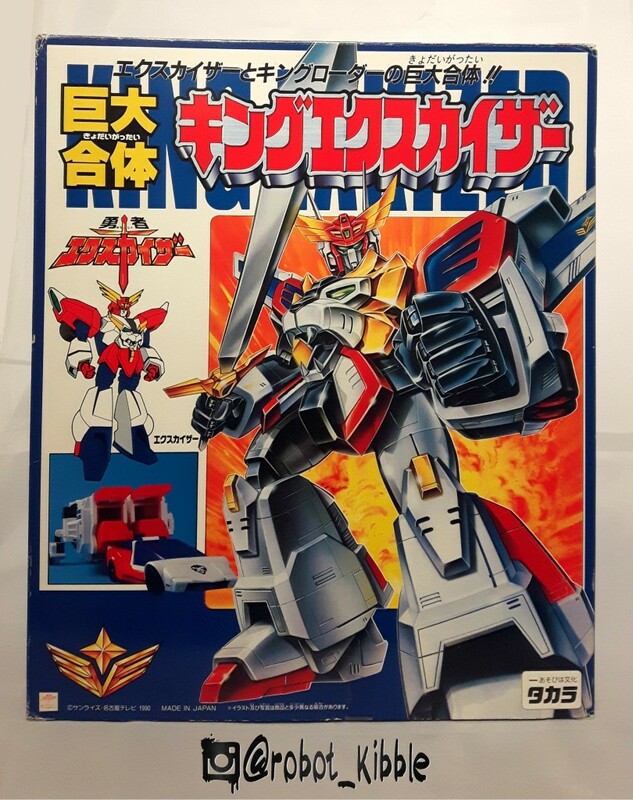 The entire arm assembly from power Dagwon becomes this guys forearms, Power Dagwon’s feet become this guys boots, and that huge arm-crane assembly… suddenly not so huge. It’s not easy to tell what’s going on in this picture above, so I’ll talk you through it. 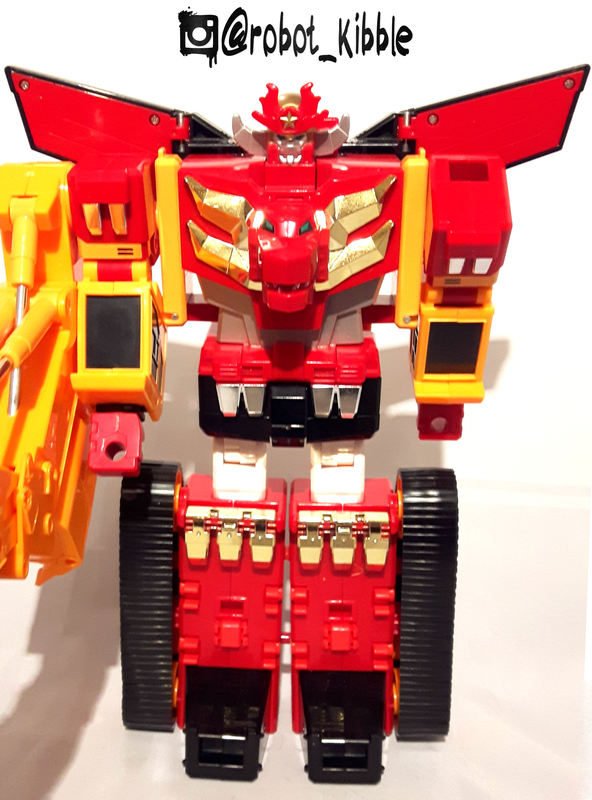 Pre-combination you store Fire Rescue and Fire Ladder on the boots, which disappear inside the legs of Fire Dagwon. It’s totally pointless, essentially a storage option, but there is no denying that the first time you do this during the combination process, it feels insanely cool, and you know you’re building something immense. 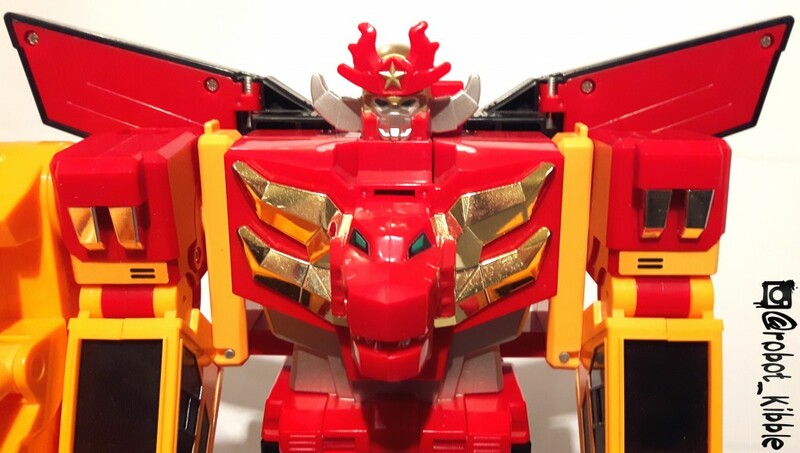 Also, we see Dagfire in Stratos mode hiding inside the chest piece. 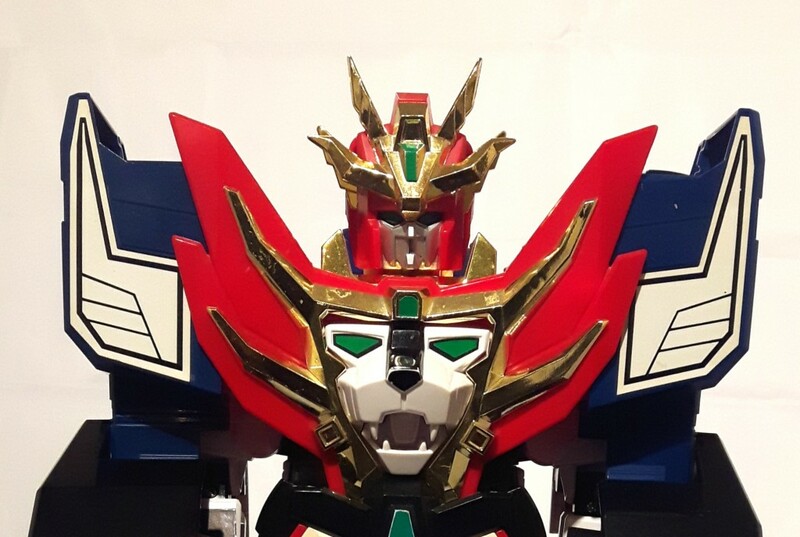 As an extra note of coolness, the plane landing gear inside Fire Dagwon’s chest piece actually has extra in-built functionality, as it holds the combined chest plate in place. 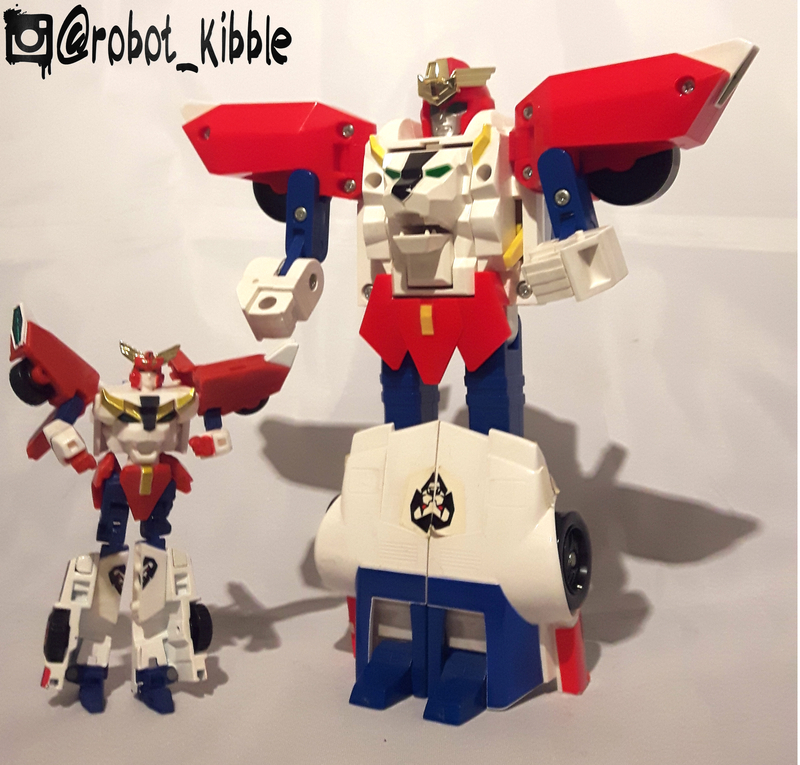 It’s not all good, this insanely sized combiner does have a few compromises. The redundant torso from power Dagwon has to go somewhere, and it clips onto the back of Super Fire Dagwon, held in place by that huge tail-fin kibble. Again, the animal-totem chest piece just hangs there, all sad and redundant. 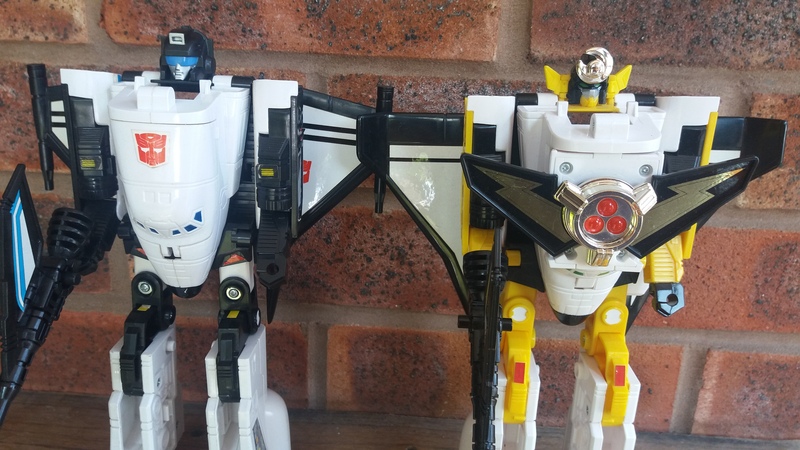 It’s not all bad, and they use the leg pegs from Power Dagwon as storage slots for the spare crane-arm attachments. It’s a lot of back kibble, which I’m sure must be a deal breaker for some, but I never mind it, if it gets us to a figure that is this ambitious and ostentatious. But we’re still not done! You think GunKid didn’t want to get into the act one last time? He doesn’t look quite as big and out-of-place anymore, but it is probably a step too far. You can also add on Lian, a separate figure that becomes a golden sword. I’ve never bought Lian, mostly because he looks awful, and I’m trying not to be that completest guy. Having said that, now I feel like I’ve failed you all. 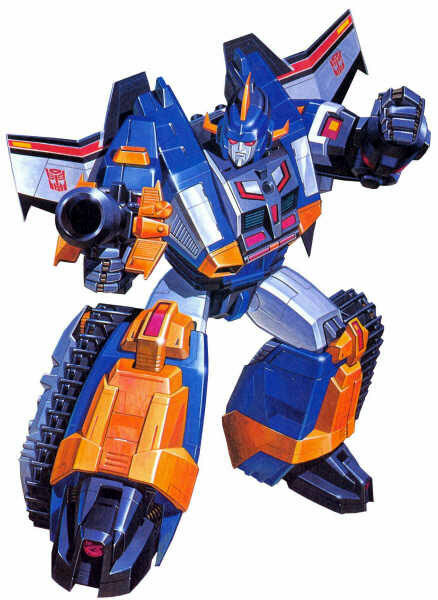 Brave has it’s own identity separate to the Transformers line despite it’s half-parentage, and this guys constant evolution towards it’s final form is a farcry from Transformers, but very typical of the giant mecha format. 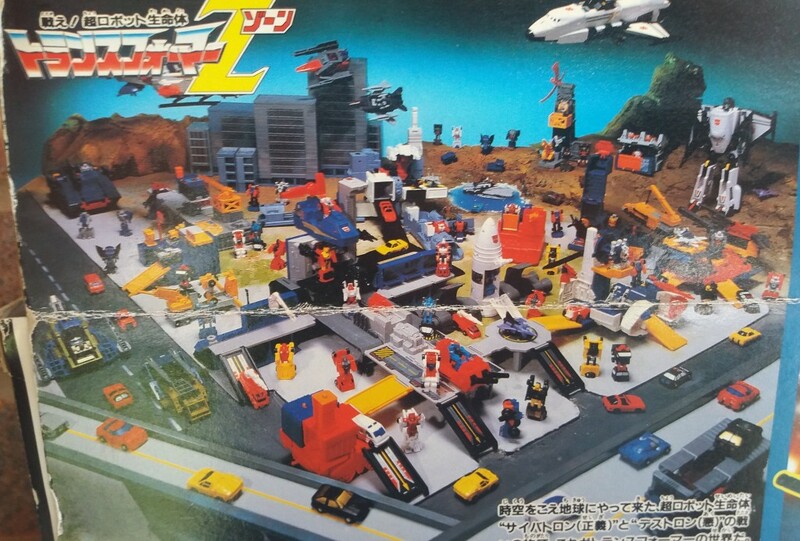 Still, there is more than enough Takara in the toys to keep fans like me interested, even if they differ somewhat from the very Sunrise animation models. I love the transformation, I love the combination, I love that GunKid can be brandished as a weapon, I love how silly the whole thing is. 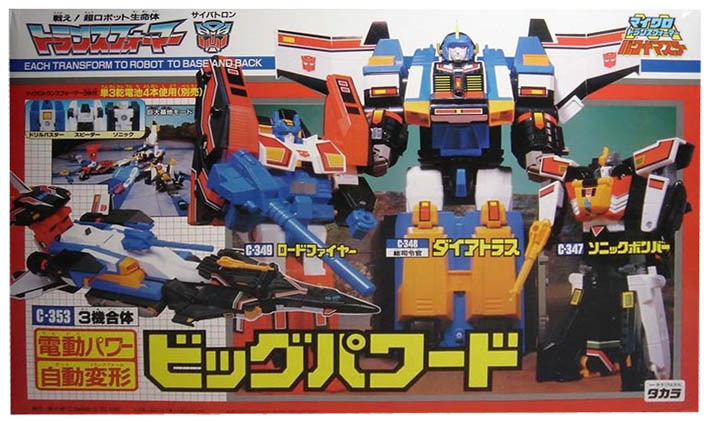 To me, it’s the ultimate evolution of those late Japan only G1 toys, and it’s nice to see the G1 Transformers book-ended with Diaclone and Brave, three distinctly different lines which influence and inform each other in equal measures. 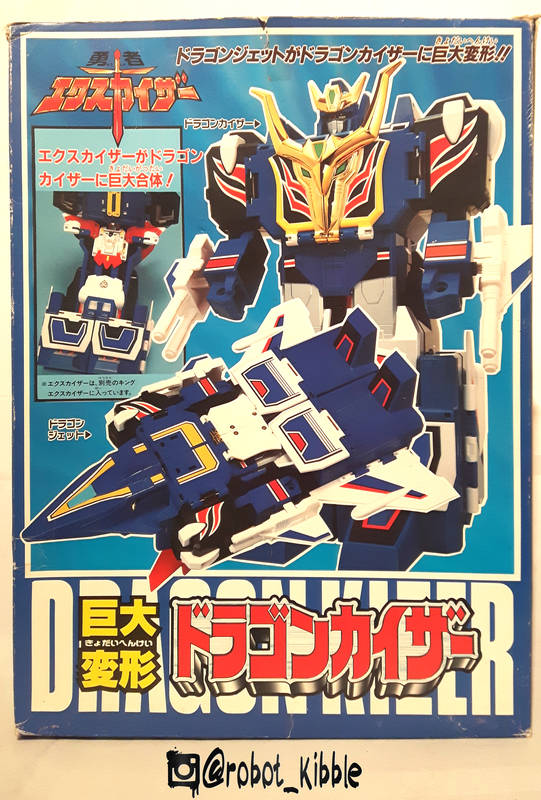 There is a standard version of this toy (marked STD instead of DX), but it’s less than half the size, and when I received it by accident early in my naive collecting days, I instantly sold it on. I’m sure it’s nice enough, but it’s not this. 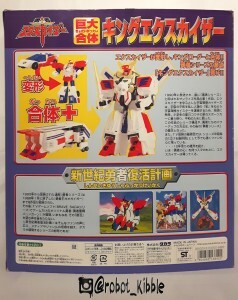 There are other releases of this character, in non-transforming PVC form, closer to the animation model. 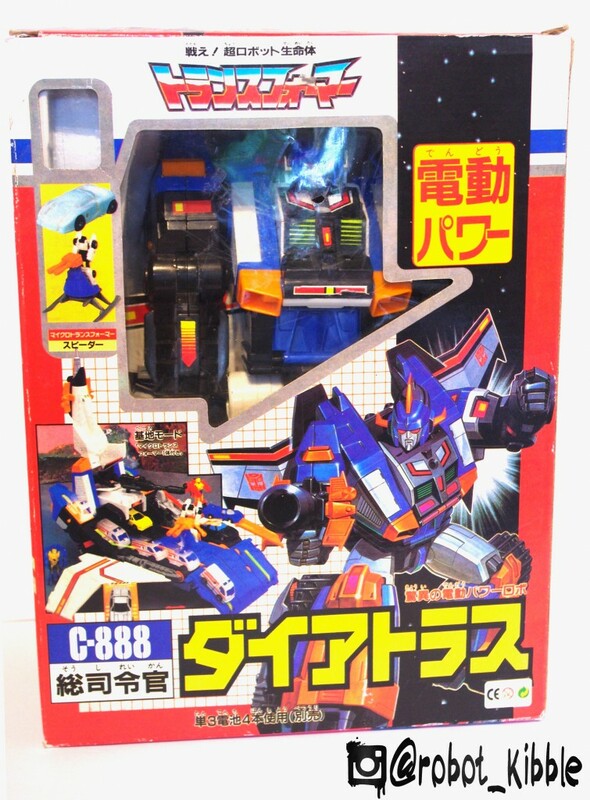 nice enough again, but for me – a hardened Takara fanboy – I’m out. 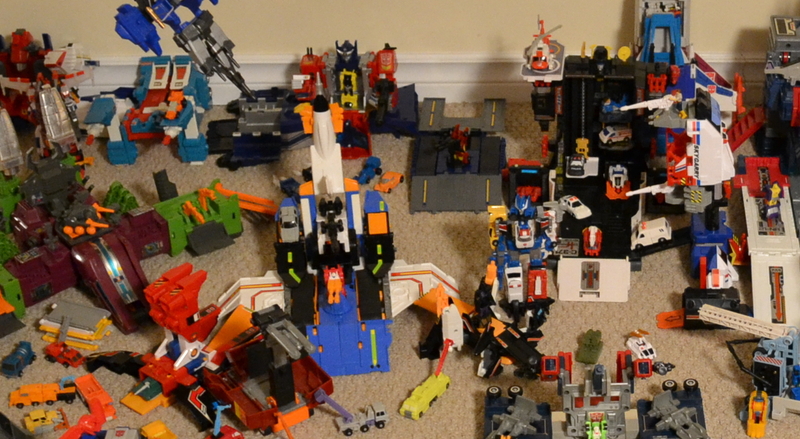 For me, this is as good as collecting gets, and the easiest article I think I’ll ever have the pleasure to write. These guys are highly recommended. 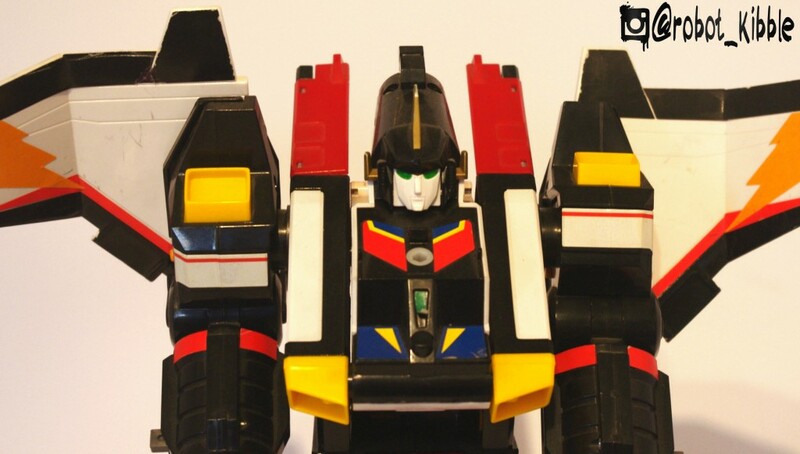 Galaxy Shuttle is one of the most well known and popular of the latter day “Victory”-era Japanese Transformers, even gaining popularity and traction in the West where he has had zero fiction appearances. 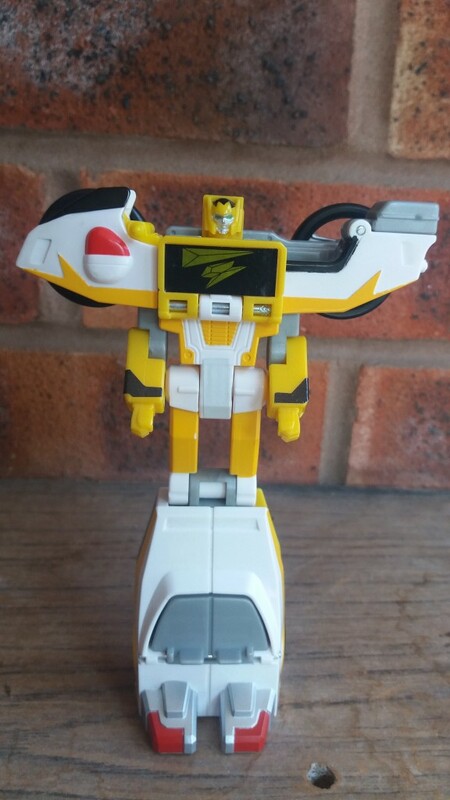 As such, he tends to be a very expensive and hard to acquire item, with even average condition loose versions of the toy selling out within minutes of the doors opening at even the biggest Transformers conventions like Botcon. Maybe it’s because he is really, really good! 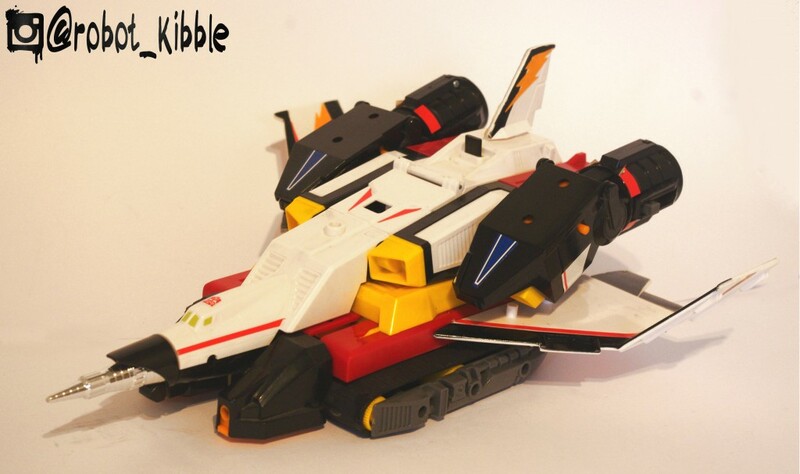 A very solid latter-day Transformer which relies on very few gimmicks, other than his ability to transform from a really cool robot into a really nice Space Shuttle mode. 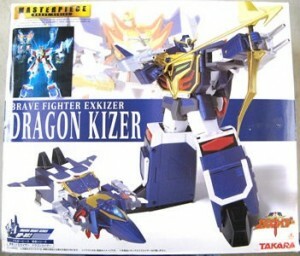 No Pretender shell, no Micro-Master companion or launcher, no third, fourth, fifth, sixth or seventh mode, no head / breast / target / power mastery, no Action Mastering,; just a solid toy. 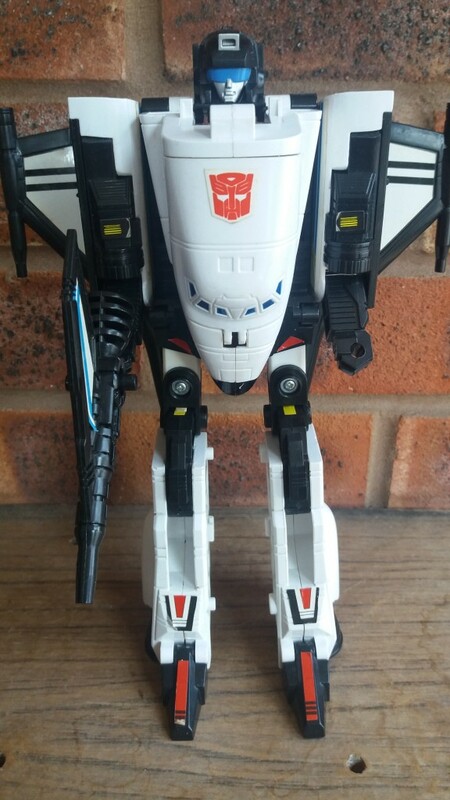 Such a solid toy that he was also snapped up by Gig for the Trasformers line a year later, and then retooled and re-released as a Brave toy six years later in 1996 as part of the Brave Command Dagwon line. 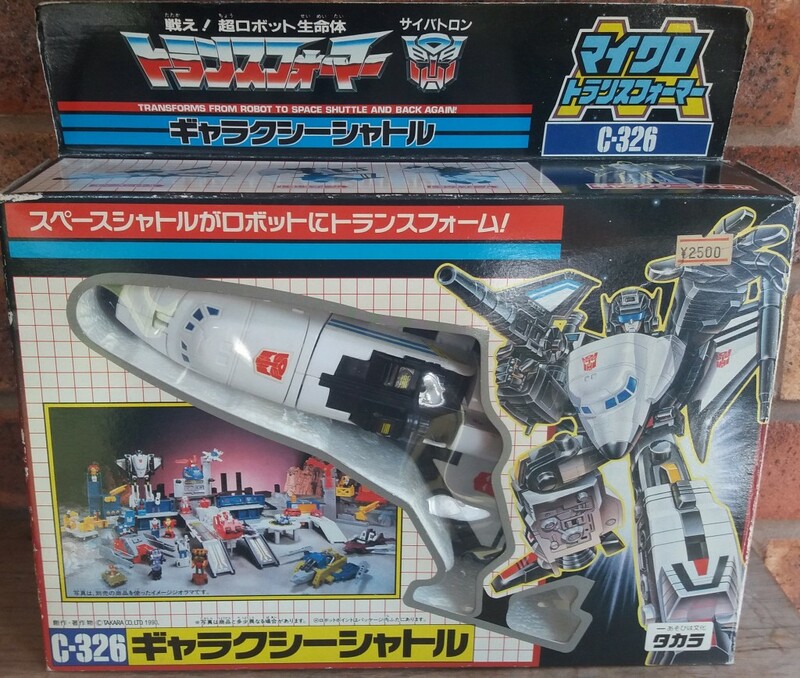 Shuttle Robo as is sometimes known (as he was called in his first appearance), was released in Japan in 1989 under the designation C-326. The robot mode, as mentioned before, is big, bulky and stunning. 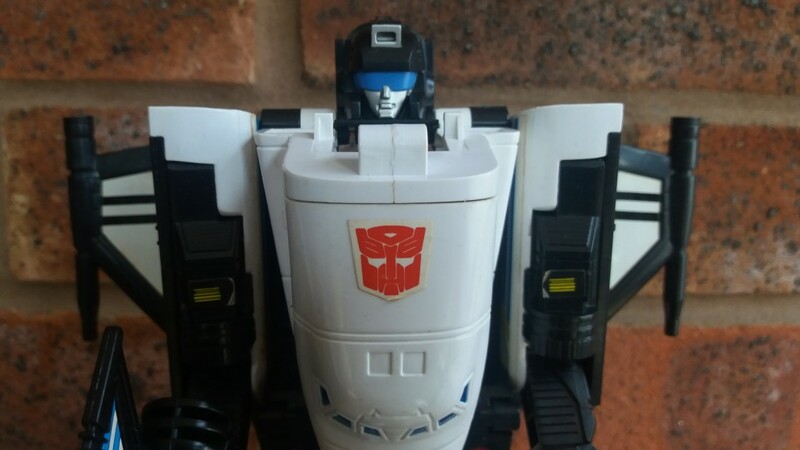 It’s no wonder he was later used for Brave as he in many ways looks more like a Brave figure rather than a Transformer, except for that awesome face that screams Heroic Autobot. He is a big toy compared to others of the time, whilst obviously not being as big as a city-bot, but that’s because his character is a big robot in the show as well. 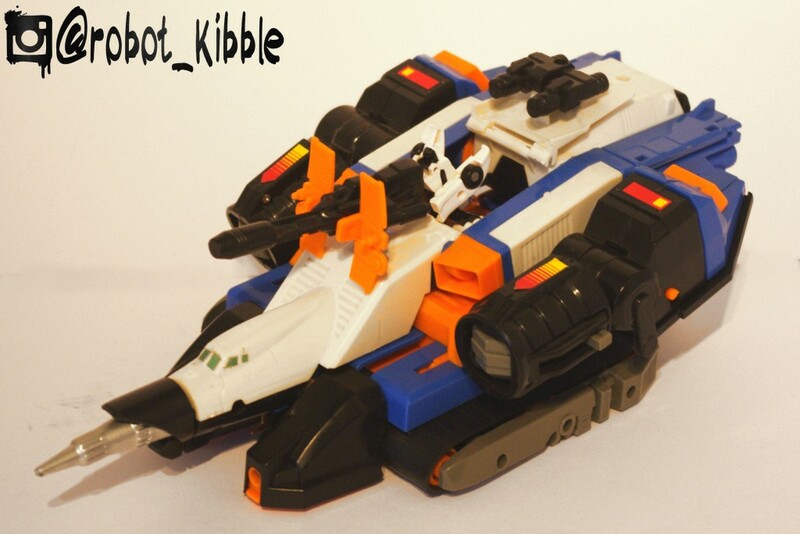 Unlike Blast Off or Astrotrain, this guy is a space shuttle capable of carrying huge robots inside him which doesn’t shrink down to insane sizes in robot mode. His transformation is a joy, everything moves instinctively, but annoyingly his wings do get in the way sometimes. 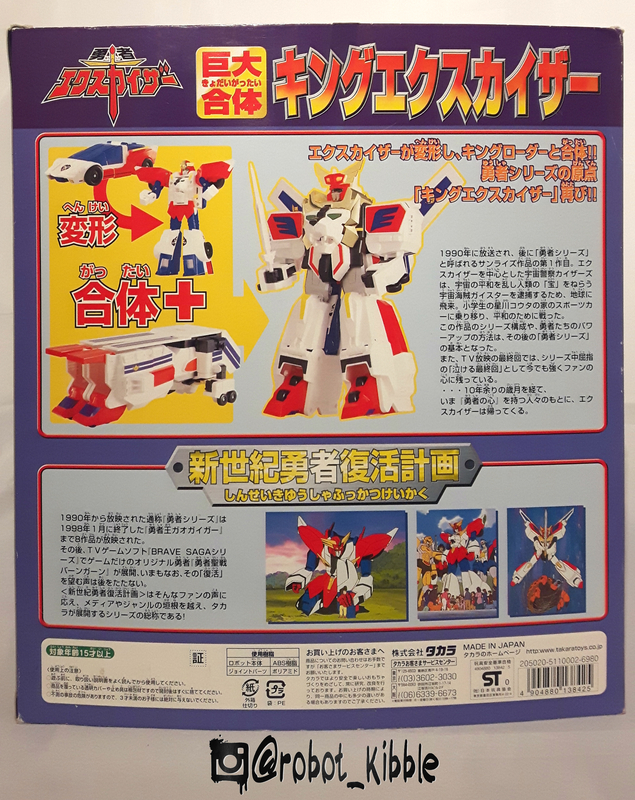 You can pop them off to make the transformation easier, but repeated popping on and off of the wings tends to cause stress marks to the softer plastic material holding the wings in place, and it has been known to perish and crack on a few unfortunate cases. 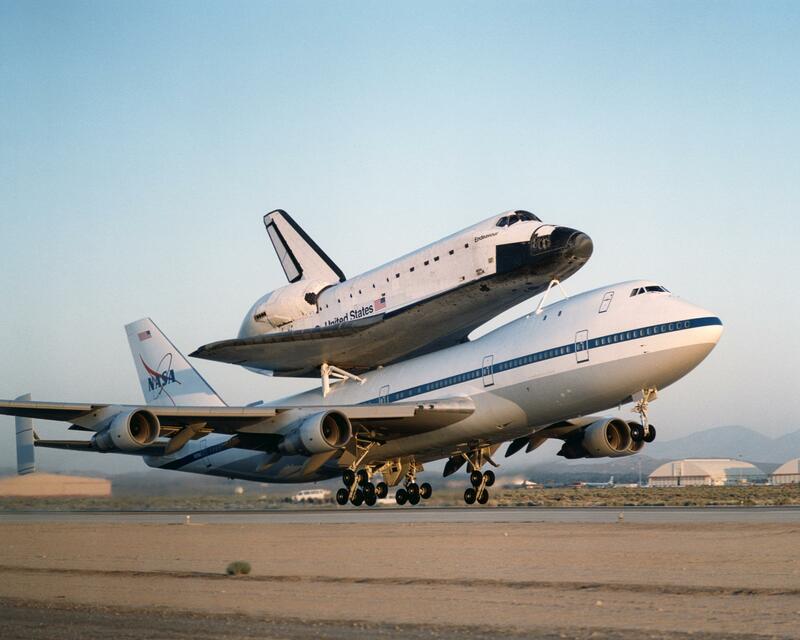 That’s not paint scratching… it’s from re-entry. Once in vehicle mode, he really shines. 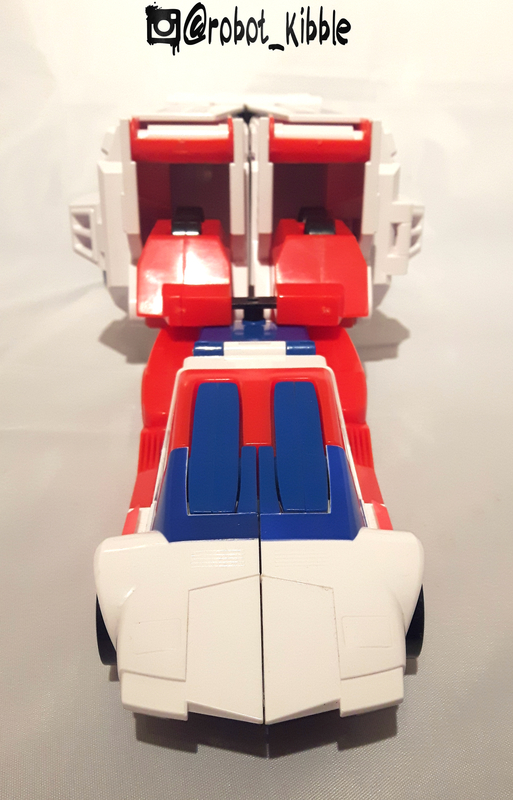 You can interact with the Micro-Masters play pattern in a couple of different ways, and you can even open up his cockpit to pop a Micro-Master pilot in there, which does make me wonder why they didn’t include one with him to increase the value of the package and bulk out an already close to bloated line. 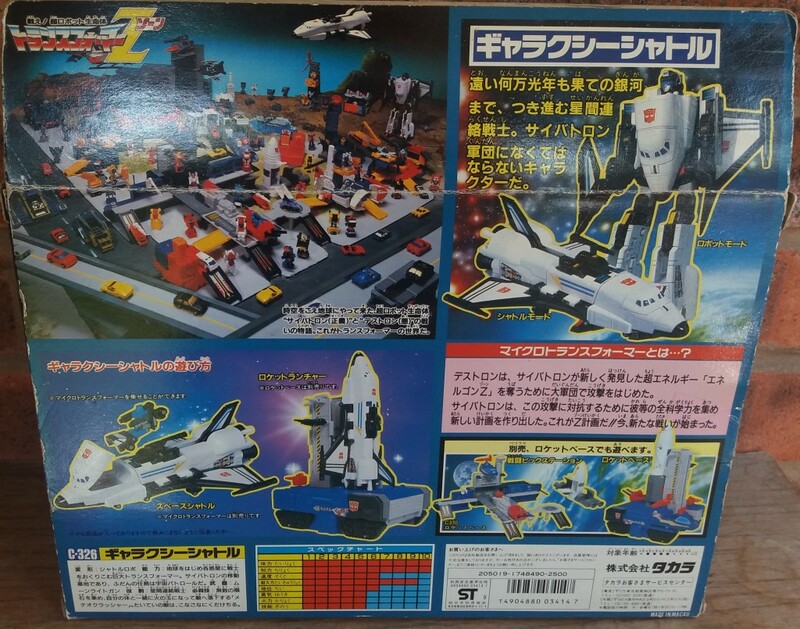 There have also been rumours that Galaxy Shuttle was originally supposed to come with a launcher of some type, but I’ve never been able to confirm that, as it’s very hard to search for that without getting assaulted by Richard Branson propaganda. I can’t decide which I prefer, so have both. 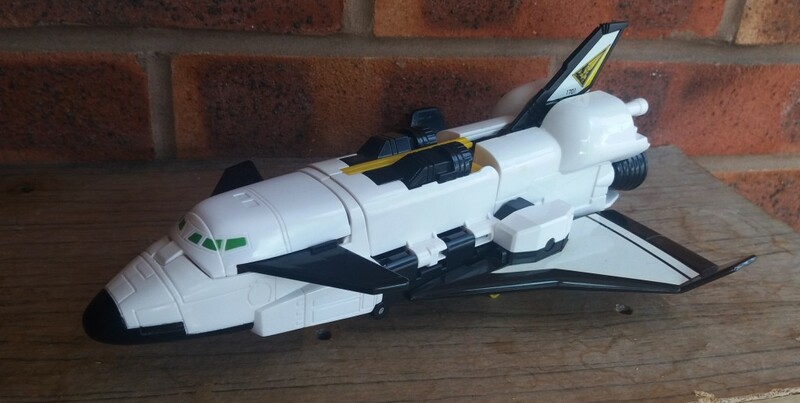 You can also pop open his cargo bay doors (his arms basically) to add a further bit of play value, and his weapon stores nicely, becoming his tail-fin in shuttle mode. 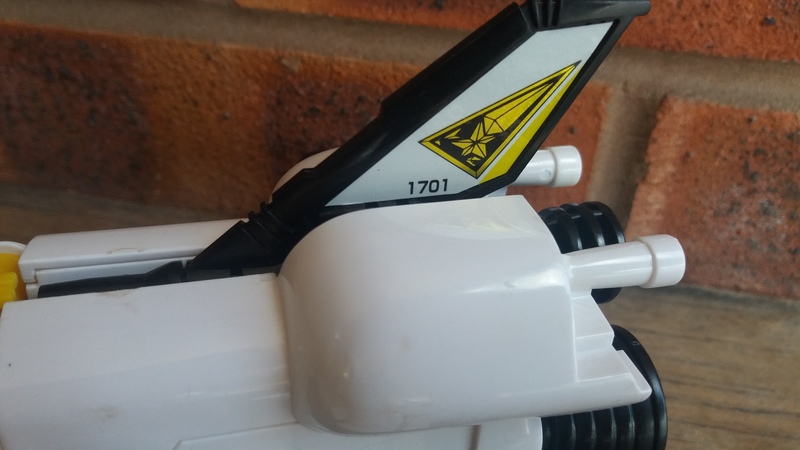 He also interacts nicely with the Countdown base playset, as seen above and below, with his rear blasters molded to fit in place of Countdown’s booster rocket. 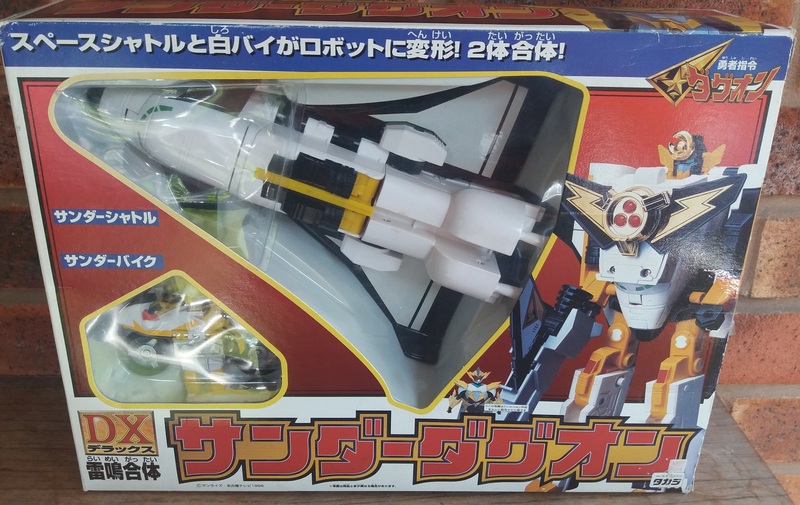 I’ve always loved this dual packaging design that you can find on some Brave, with a solid package art piece on one side, and a window showing you the toy on the other. 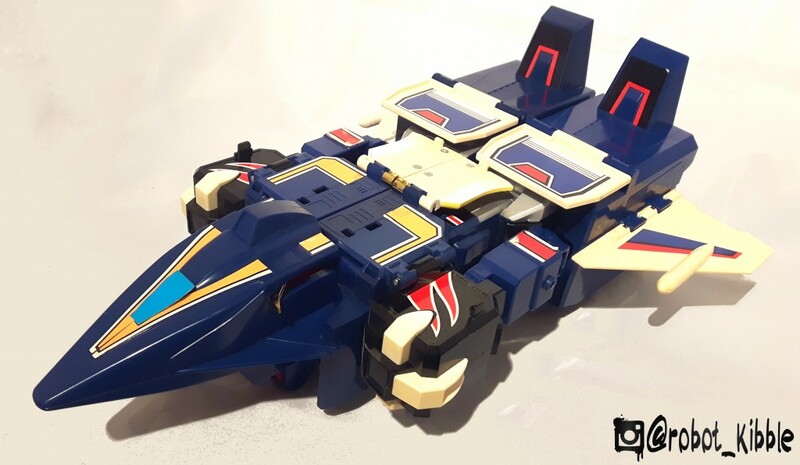 This is something Joustra Diaclone toys did very well and I’d like to see it more often in today’s toys. 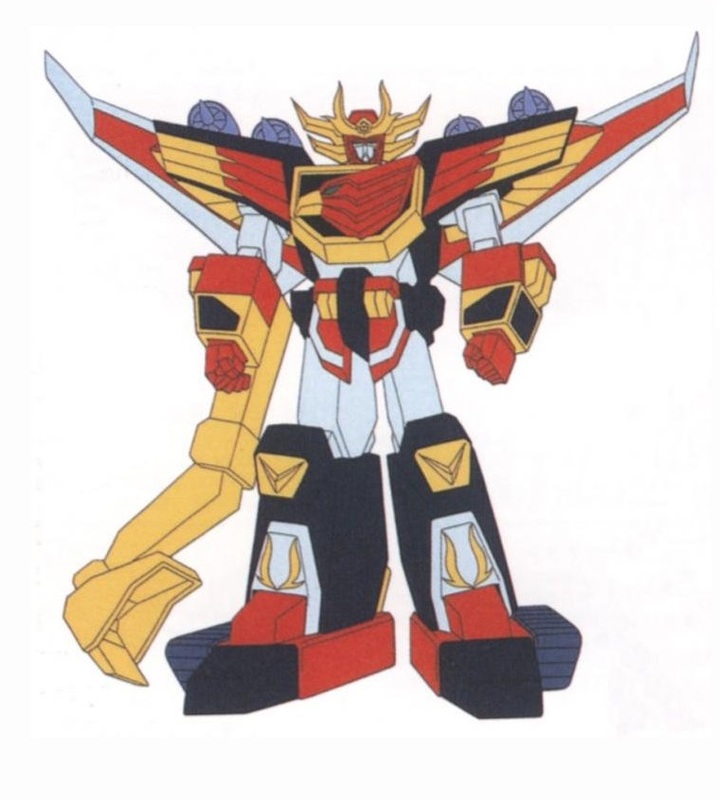 Technically, Thunder Dagwon is actually the combined form of DagThunder and Thunder Shuttle, but most people refer to this guy on his own as Thunder Dagwon. 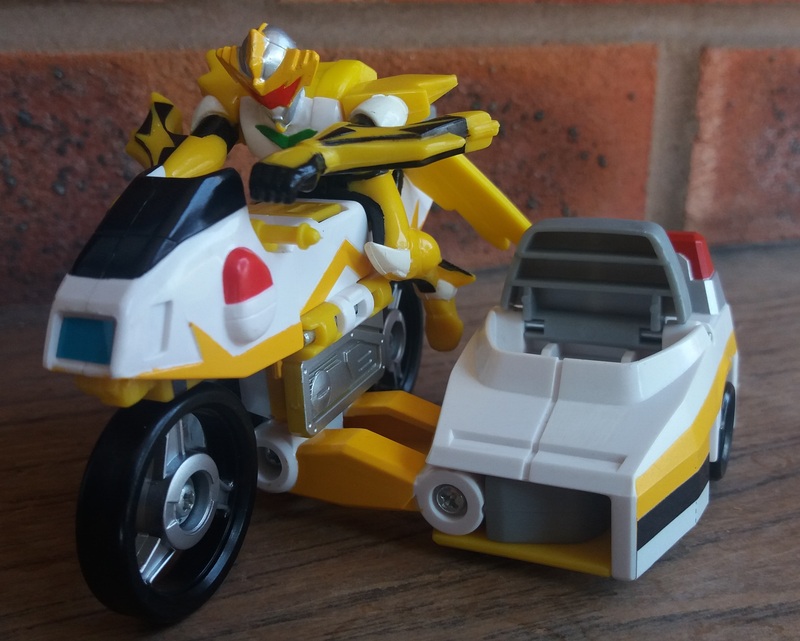 And all new mold DagThunder is included in the package, comprised of Thunder Rai and his Thunder Bike, but they are in a completely different scale to Thunder Shuttle. While they’re a cool addition to the package, they just store on the back of the figure and don’t really affect the look of the figure like other combining Braves, so I rarely combine them and keep them separate. I should also mention that T’Dawg here comes with another spear weapon, not pictured, as I removed it from the figure when i took it to a nerd meet-up for safe-keeping, and I’ve promptly lost it. 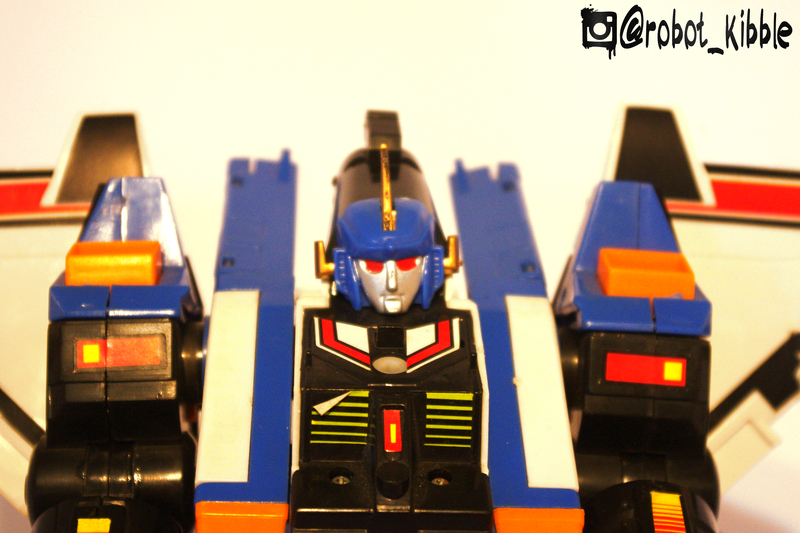 The figure has some extensive retooling, in robot mode this is most noticeable with his new head sculpt. 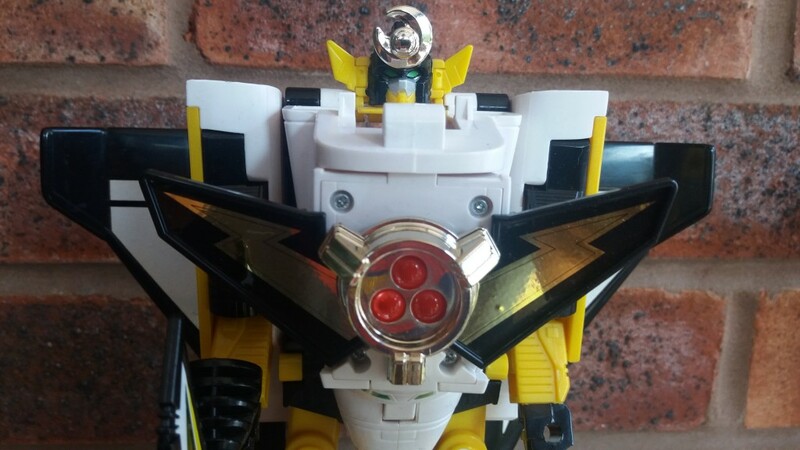 Not everyone likes his head-crest, and it’s very removed from the Transformers aesthetic, I’ve even heard it described as a curled up gold poop sat on his fore-head, which I think is a tad unfair. 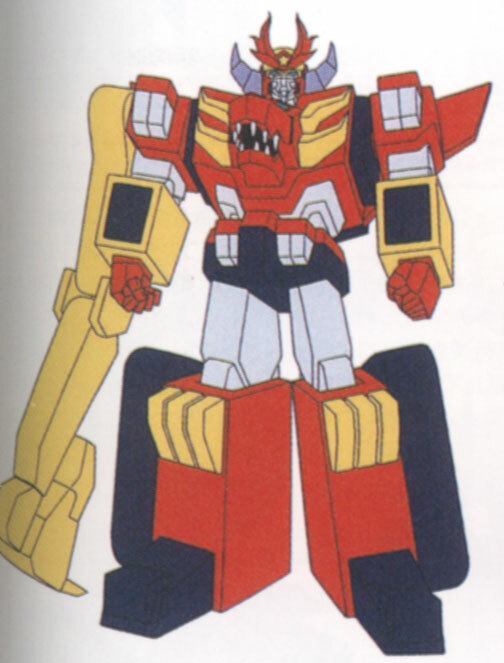 However, it’s no argument that Thunder Dagwon does look a lot more angry and threatening than his Autobot counterpart. 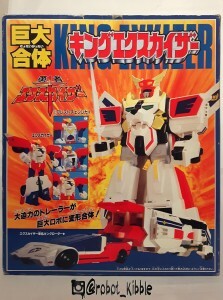 His new chest required that Takara change the entire cockpit canopy, introducing a swivel joint so the flashy chest is contained within the cockpit in alt. 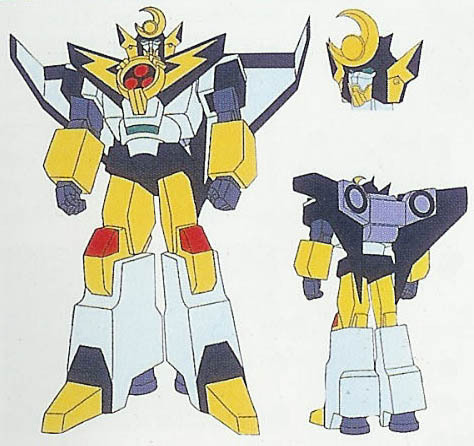 mode, but this obviously gives him a very different look in alt. mode as well. 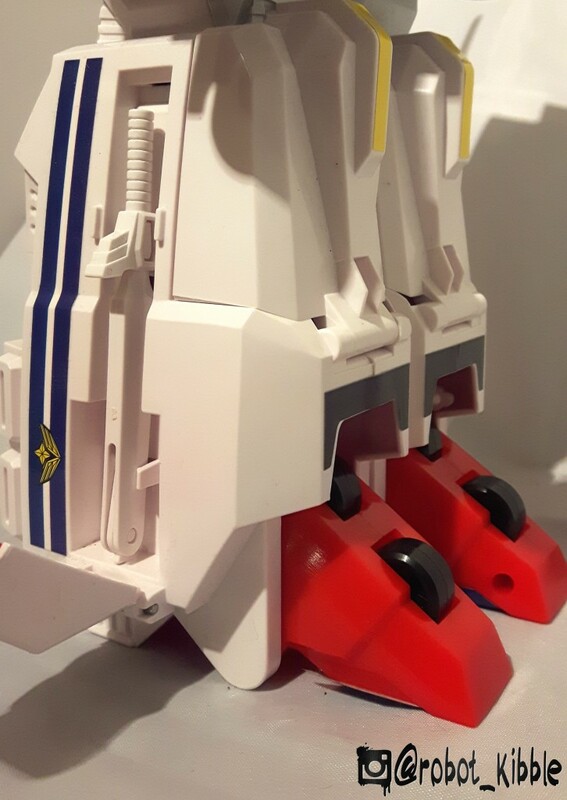 Other than that simple twist of the cockpit, and the folding of his ears away, he transforms exactly the same as Galaxy Shuttle. Only easier. 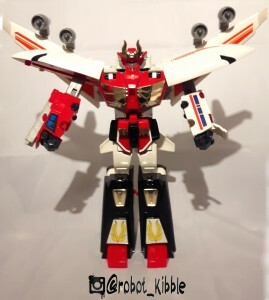 Well, they have completely changed his wing attachments, almost making them a fixed double joint which allows for slightly better rotation and clearance, meaning they’re never in the way during the transformation. Which is great as they can’t be removed. 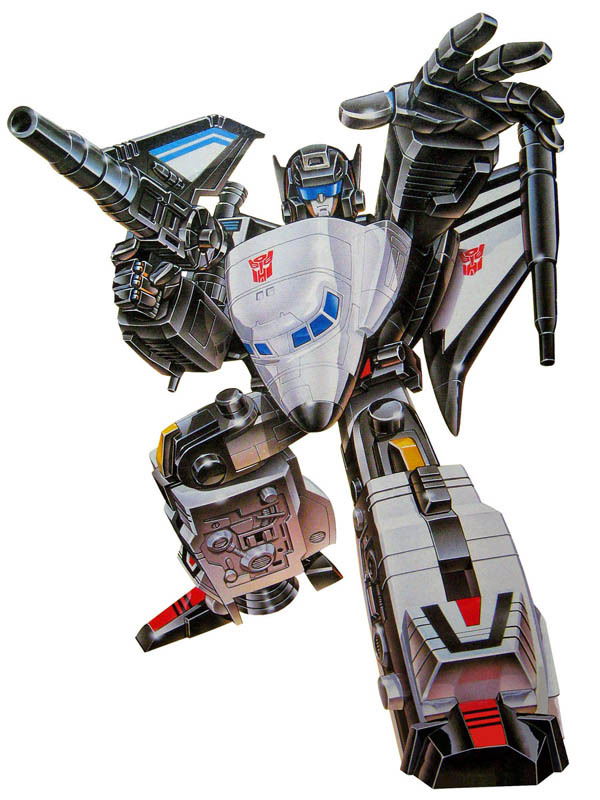 I also prefer the wings on Thunder Dagwon, as they are more space-shuttley, with Galaxy Shuttle having molded gun detailing on his wing-tips, seemingly just to make it harder to find good condition examples in the future. 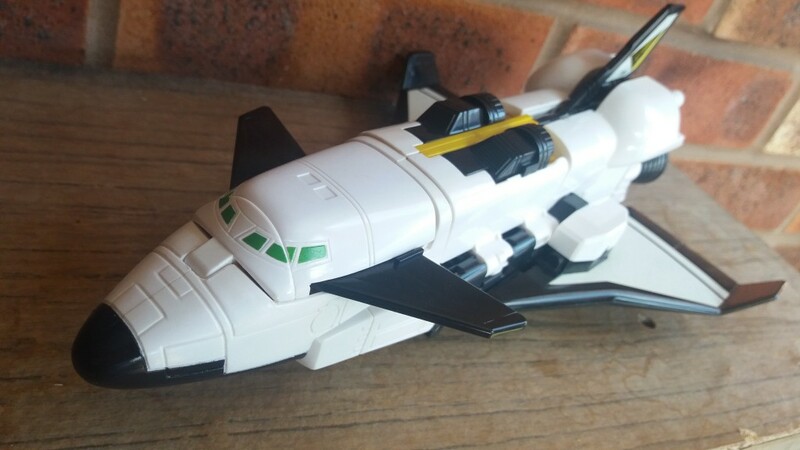 Some say the additional front wings do detract from the space shuttle mode a bit though, meaning you’d need to do a hybrid of the G1 and Brave toys to get a perfect Space Shuttle look for the real nerds out there. 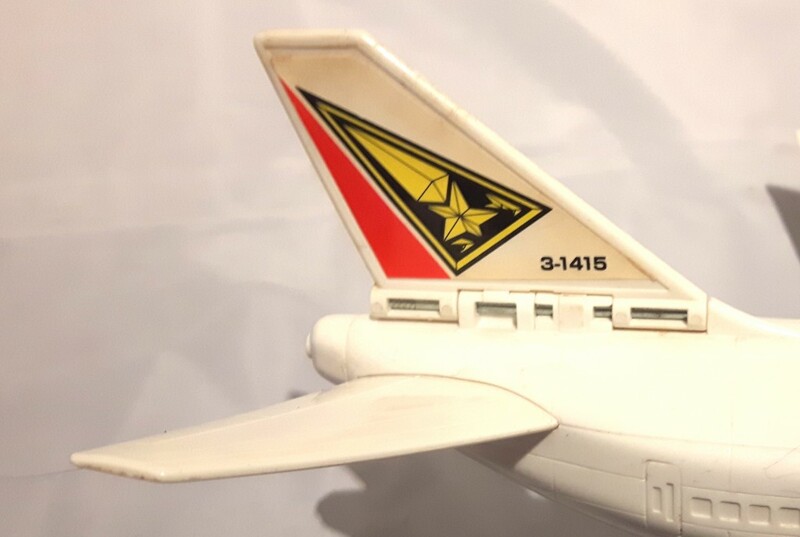 You know, the sort of nerds who’d appreciate this designation on the tail-fin. 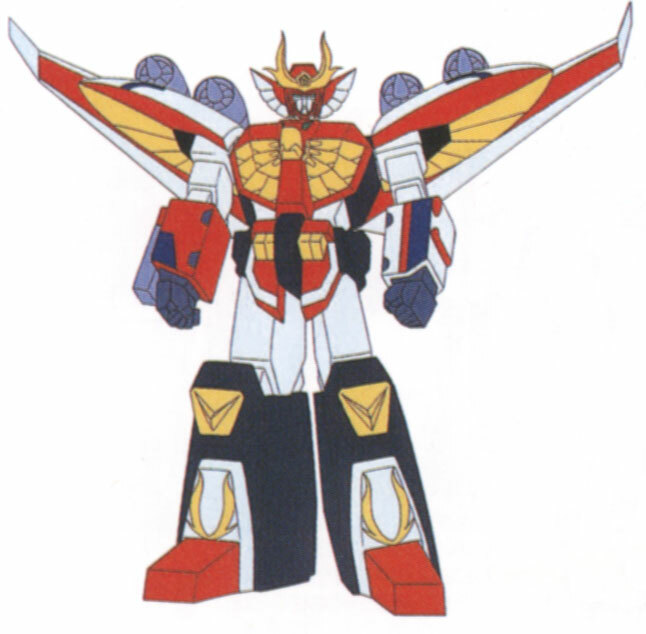 Overall, I actually prefer Thunder Dagwon, I love the head, the over-the-top chest, the more stable wing transformation and wing accuracy, and I think the flash of colour and ostentatious chest makes him really stand out. 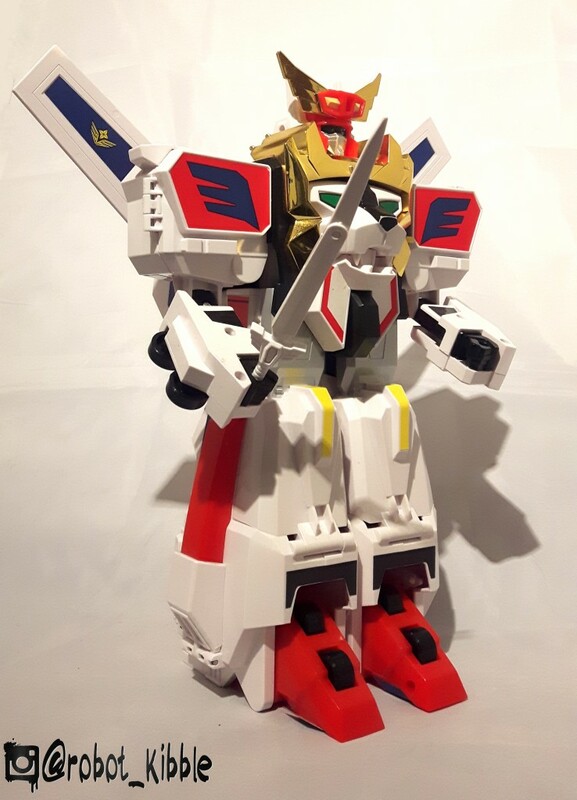 Hard to do against a wall of other over-the-top Brave toys. 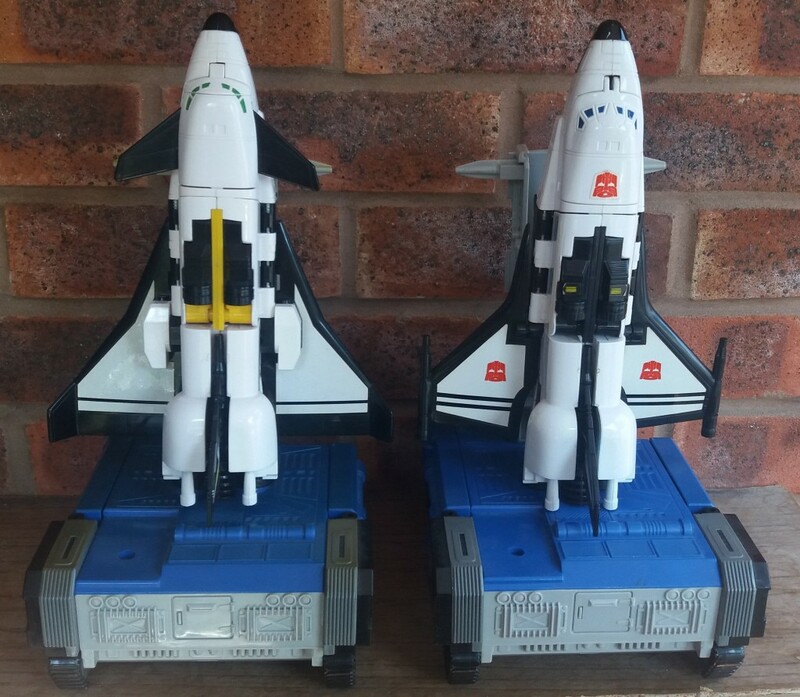 That’s not to take anything away from Galaxy Shuttle, as both are great toys. 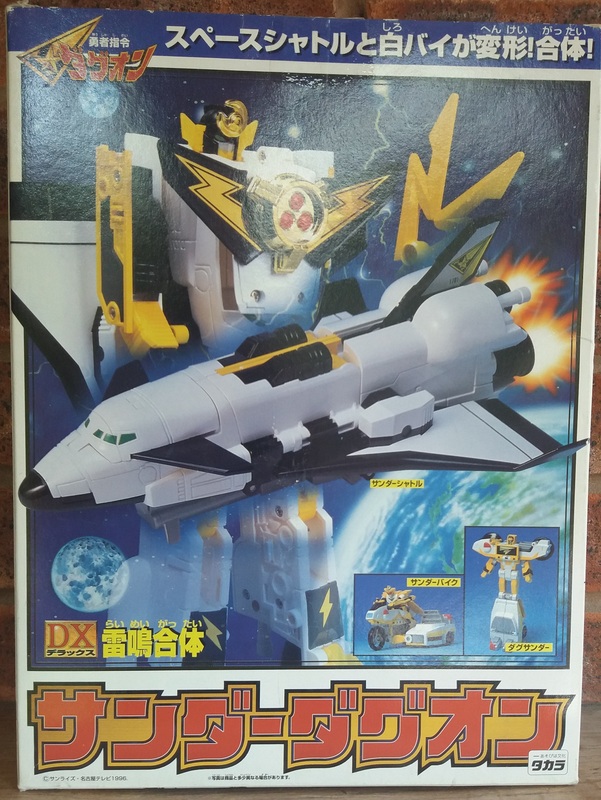 I’ve actually wanted Galaxy Shuttle for years before I eventually got him this year at Botcon, whereas Thunder Dagwon just… sort of happened, I guess. 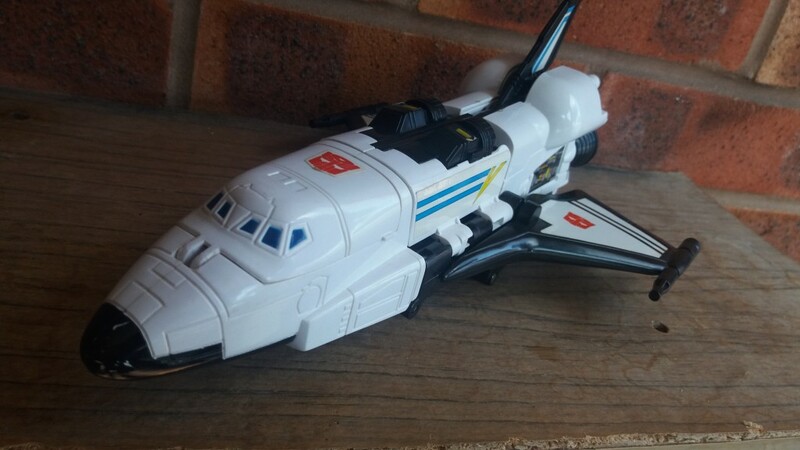 The scarcity and value of Galaxy Shuttle (not to mention the difficulty in finding an un-yellowed one) means that acquiring one is an event, even for the most jaded of burnt out toy collectors, and this too-many-a-grail piece would be a stand-out choice in any collection. I can definitely see why it is so popular. But I’m not done yet… that’s not all the secrets that Thunder Dagwon contains. The sharp eyed amoung you might have noticed a difference in Thunder Dagwon’s gun in the pictures above. The grey cover on his weapon does more than just make his gun look different, it enables another one of those lovely over-the-top Brave combinations I enjoy talking about. Shuttle wears his branding proudly! 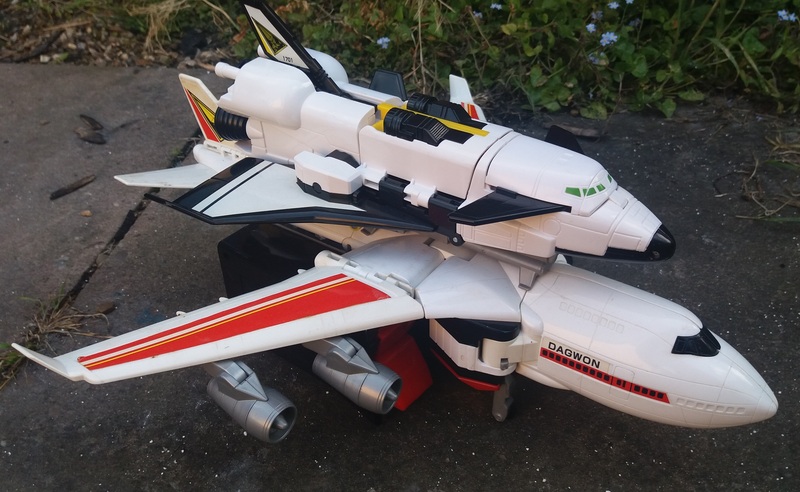 Yes, while Galaxy Shuttle contains the ability to port onto Countdown for a shuttle launch aesthetic (don’t ask where the solid fuel boosters are), Thunder Dagwon contains the ability to re-create another slice of real-world awesomeness from the Space Shuttle era. 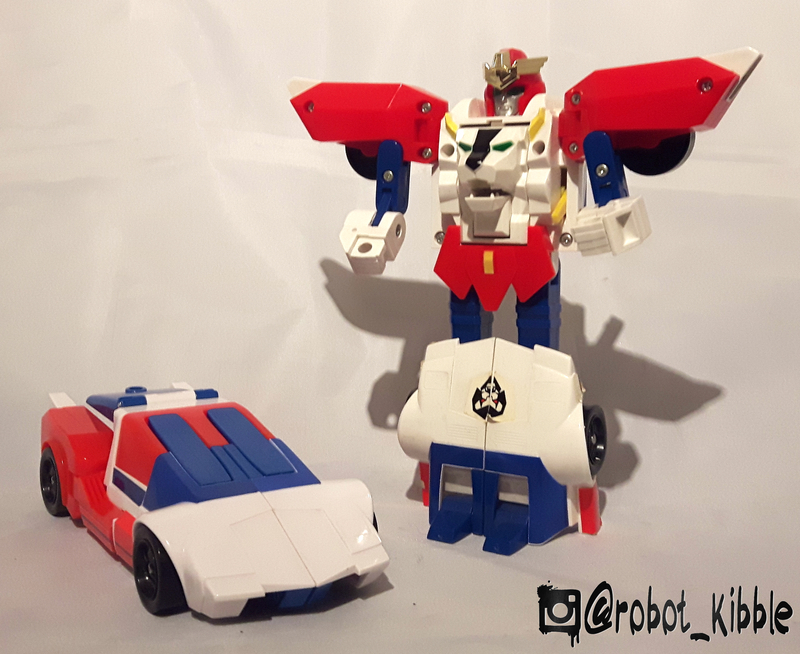 Rather than the usual Brave robot combination, this is a vehicle combination, one that’s too big for me to photograph in my light box or more traditional brick-work setting. 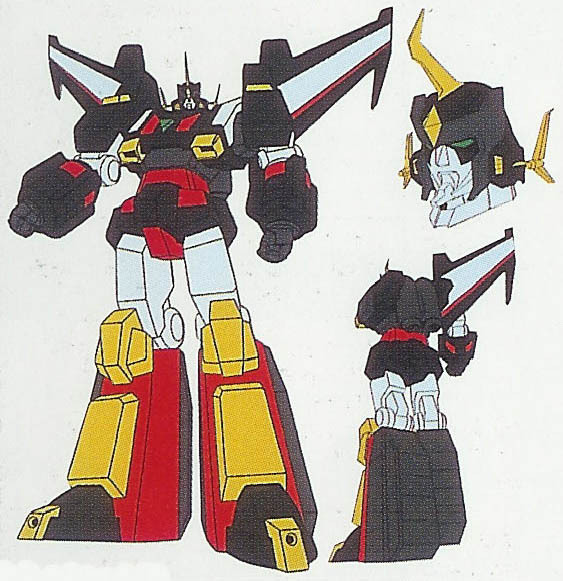 Yep, Thunder Dagwon uses his weapon clip to “combine” with big bad Fire Dagwon, a huge cargo plane. 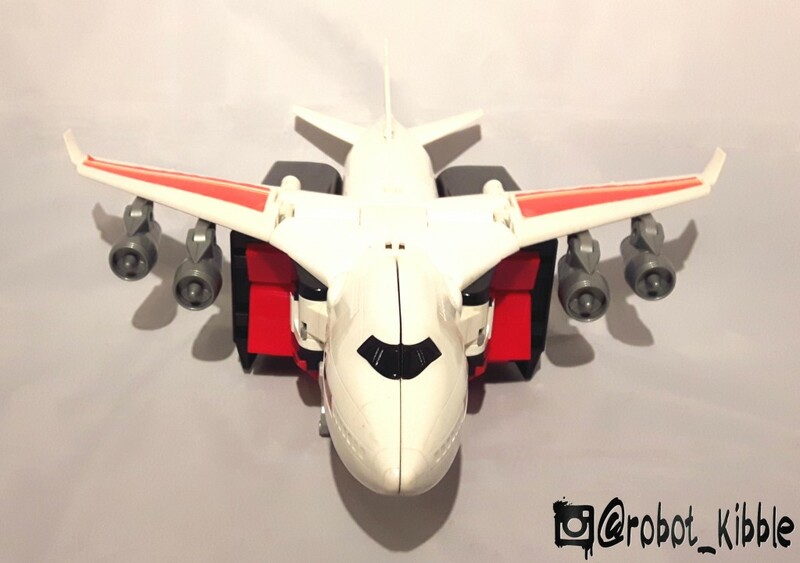 This is very cool, and the connection is so strong that you can hold the plane upside-down and Thunder Dagwon isn’t going anywhere! 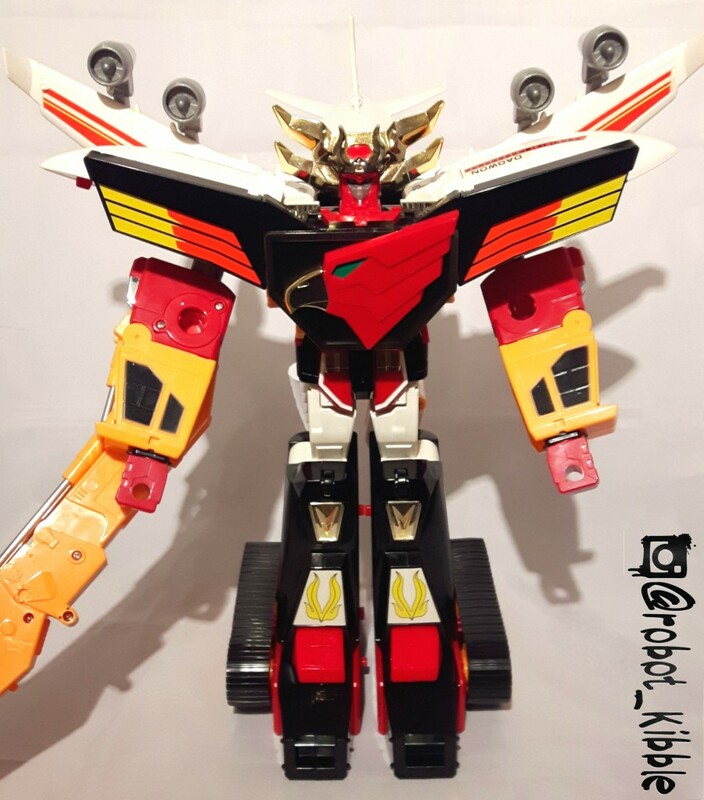 Fire Dagwon is himself a massive beast of a robot, one who follows the traditional mecha formula of combining with another robot, Power Dagwon, to make an EVEN BIGGER robot; Super Fire Dagwon.